This game that pits the wits of 3 ferocious tigers against the strength in numbers of a herd of 15 goats comes from Nepal and is also popular across India. 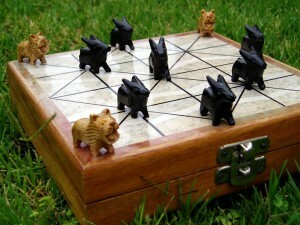 At the start of the game all the 3 tigers are placed on the apex, and 2 inner places closest to the apex. All goats start off the board. 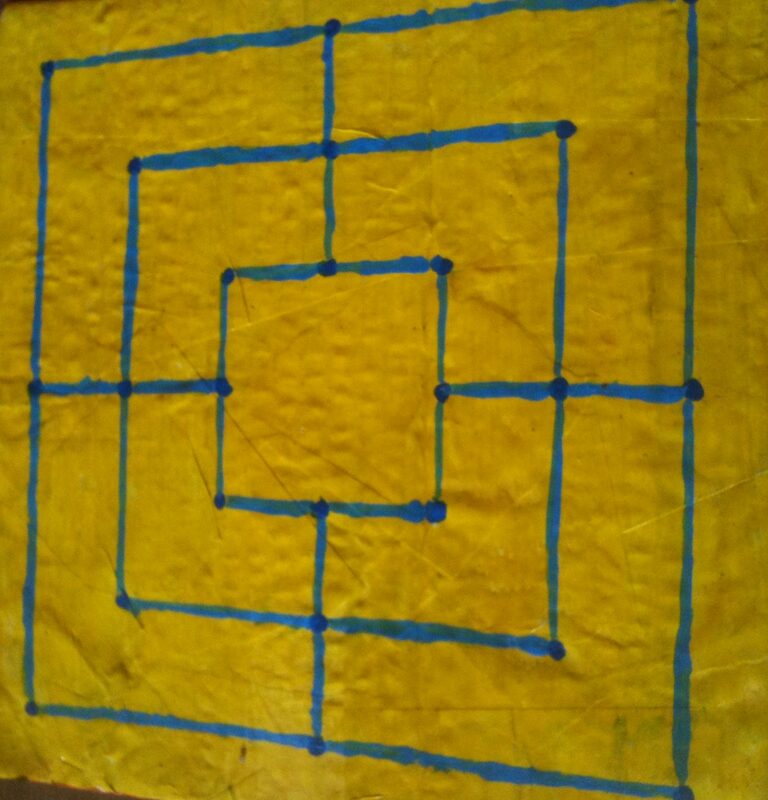 The pieces must be put at the intersection of the board lines and moves follow these lines. Then it is the tigers turn. 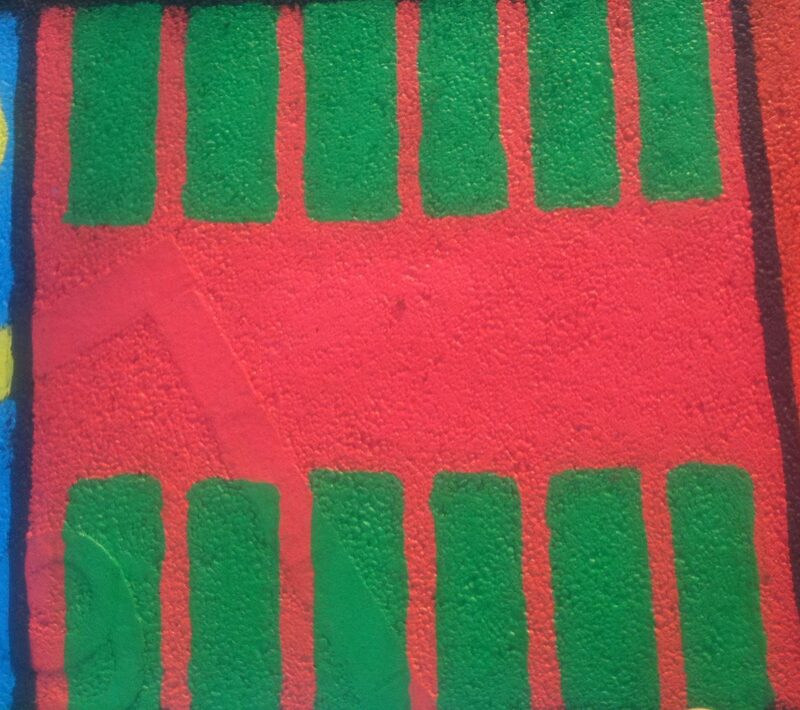 One tiger is then moved to an adjacent position along the lines that indicate the valid moves. A tiger captures a goat by jumping over it to an adjacent free position (as in draughts). Goats cannot move until all 15 have been put on the board. They can start capturing goats any moment after the match has started. They can capture only one goat at a time. 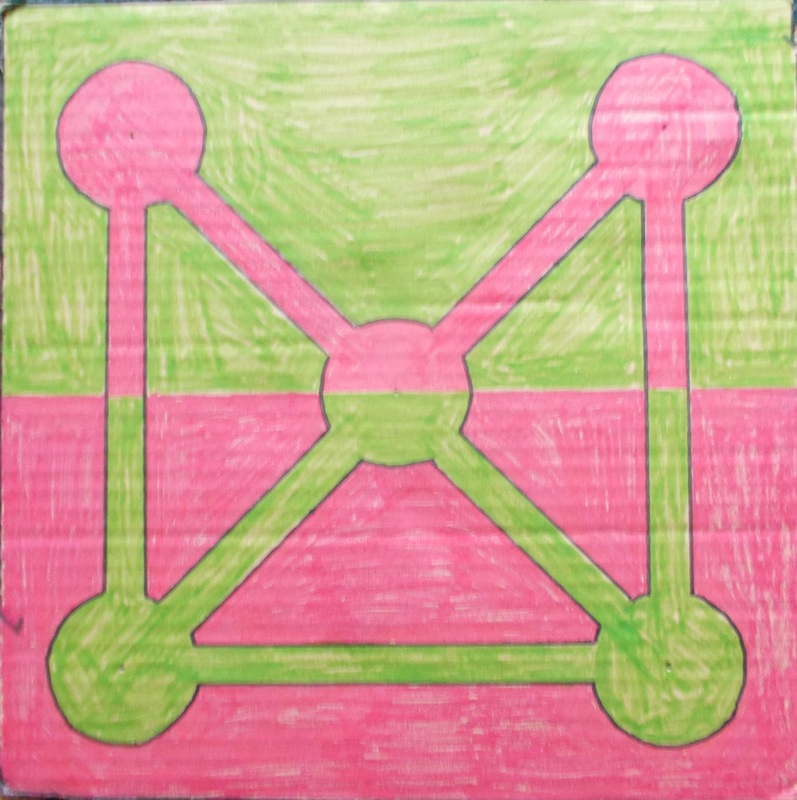 They can jump over a goat in any direction, but it must be to an adjacent intersection following any of the lines drawn on the board. A tiger cannot jump over another tiger. The goats must move according to these rules: They must leave the board when captured. They cannot jump over the tigers or other goats. They can only move after all 15 have been put on the board. Tiger wins if all the goats are captured. Goat wins if all tigers are blocked from movement. Objective: Goat’s objective is to encircle Goats so that none of the tigers can move. Tiger’s objective is to remove 5 goats. Players should change roles with tigers becoming goats and vice versa after each game. 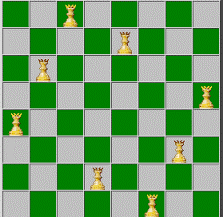 Sixteen Soldiers is a two player game from India and Sri Lanka. 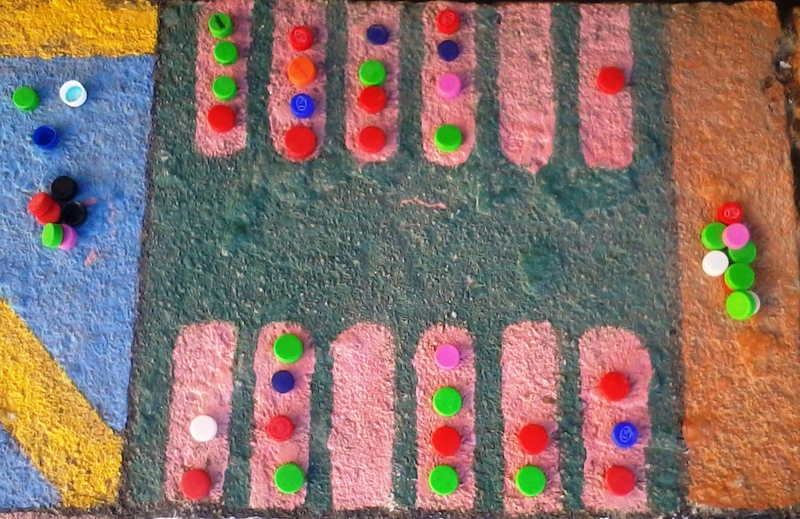 The same board is used for the game of Leopards and Cows. 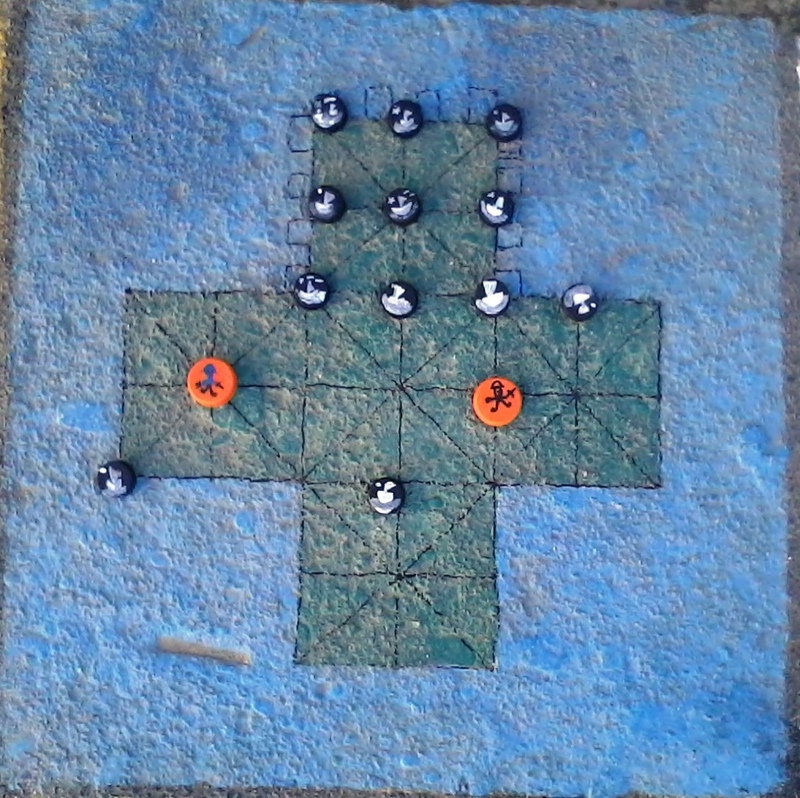 Each player has 16 soldiers arranged on the board as shown at the start of the game. The goal is to capture all the opponent’s soldiers. 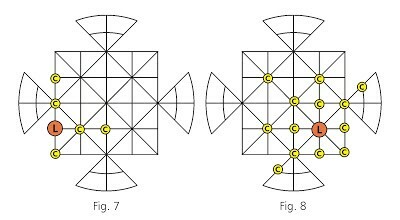 The soldiers can be moved in any direction orthogonally and diagonally along lines on the board to an adjacent vacant point. A soldier captures an enemy soldier by jumping over it in a straight line to a vacant point immediately beyond it. The captured solder is removed from the board. A soldier may make multiple captures by jumping over additional enemy soldiers. A soldier may not jump over one of his comrades. 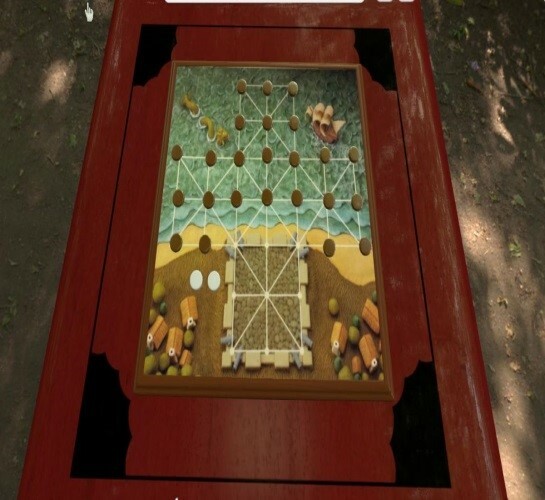 The player that captures all the opponent’s solders wins the game. .
Its actual closest relatives are Peralikatuma and Kotu Ellima which are also from the Indian subcontinent. The only real difference between these three closely related games is the number of pieces. 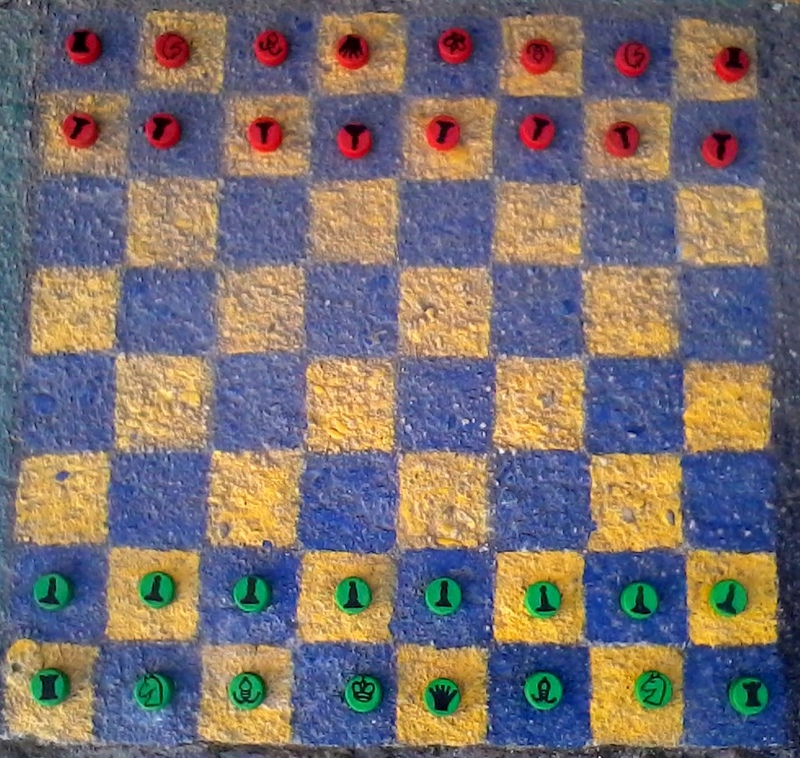 In Sixteen Soldiers, each player has 16 pieces hence the name of the game. 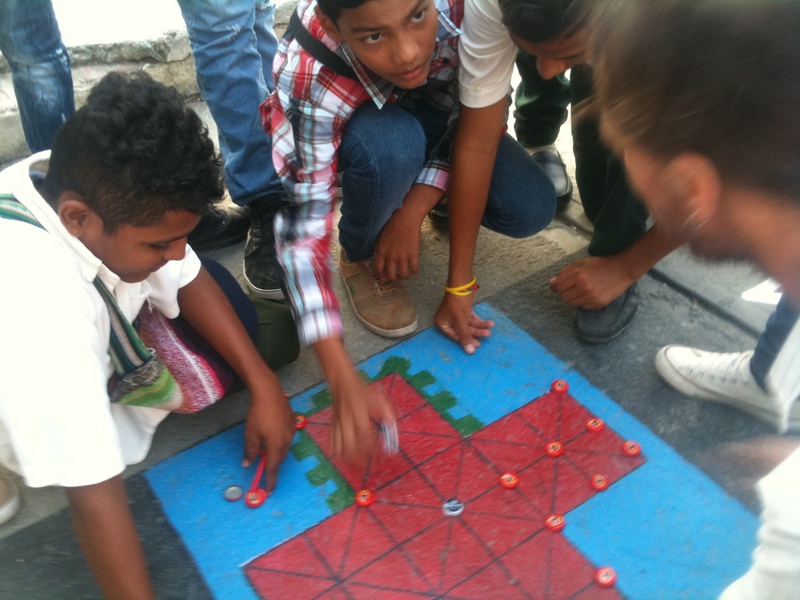 In Peralikatuma, each player has 23 pieces. 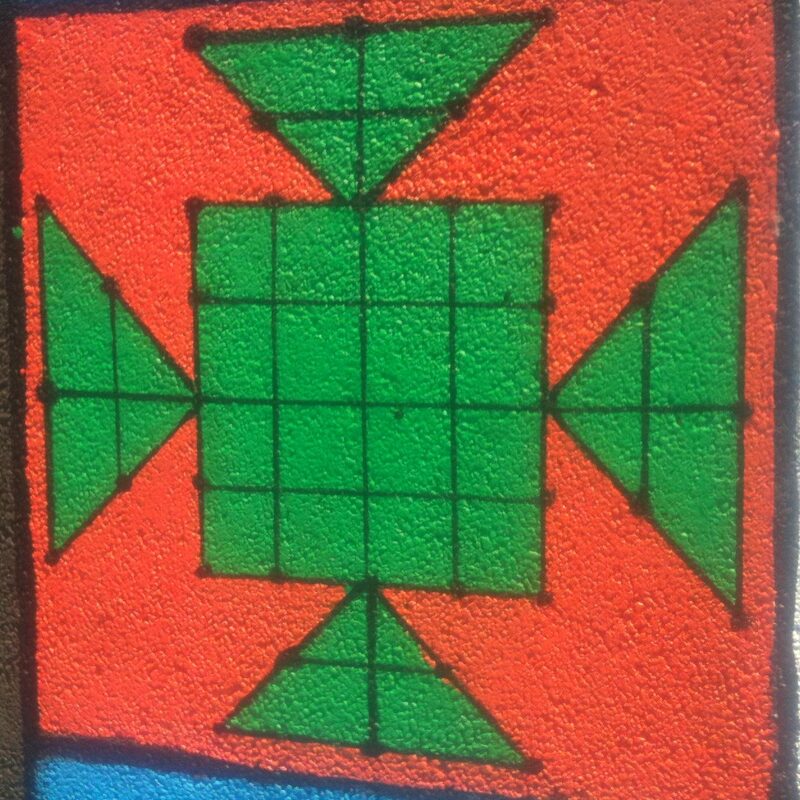 In Kotu Ellima, each player has 24 pieces. Player 1 has 2 counters of the same colour. These are the leopards. Player 2 has 24 counters of a different colour. These are the cows. 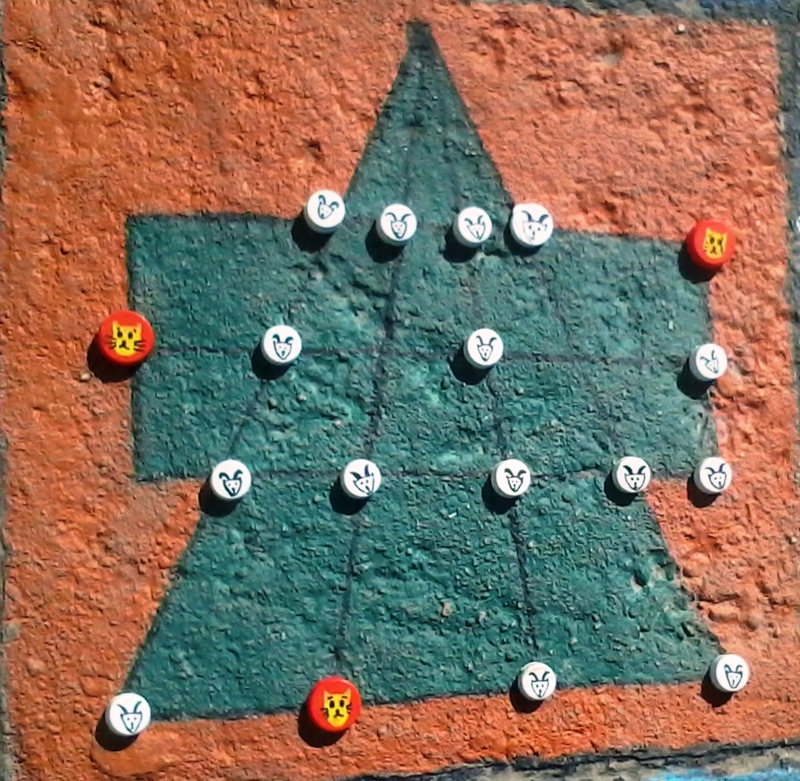 Player 1 starts by placing 1 leopard on any spot on the board. Player 2 then places 1 cow on any spot on the board. Player 1 places the second leopard, followed by Player 2 who places another cow. Cows and leopards can only move one spot per turn along straight lines in any direction. 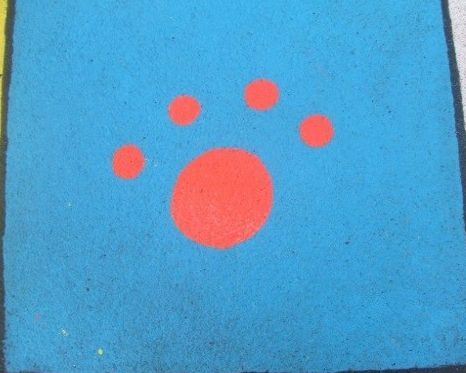 Player 1 can begin to move a leopard, one spot per turn. Player 2 will continue to add 1 cow per turn. Only when all 24 cows are on the board can Player 2 begin to move cows, one spot per turn. A leopard can kill a cow by jumping over it along a straight line onto an empty space. Leopards usually kill cows before all the cows are on the board. Cows cannot kill leopards but can trap them by preventing them from moving. To win, the leopards must kill all the cows or enough cows that they can no longer be trapped, or the cows must prevent both leopards from moving. 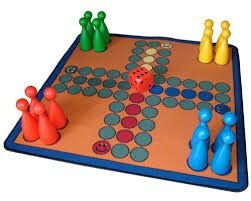 2 to 4 players begin by placing their respective pieces in their bases. 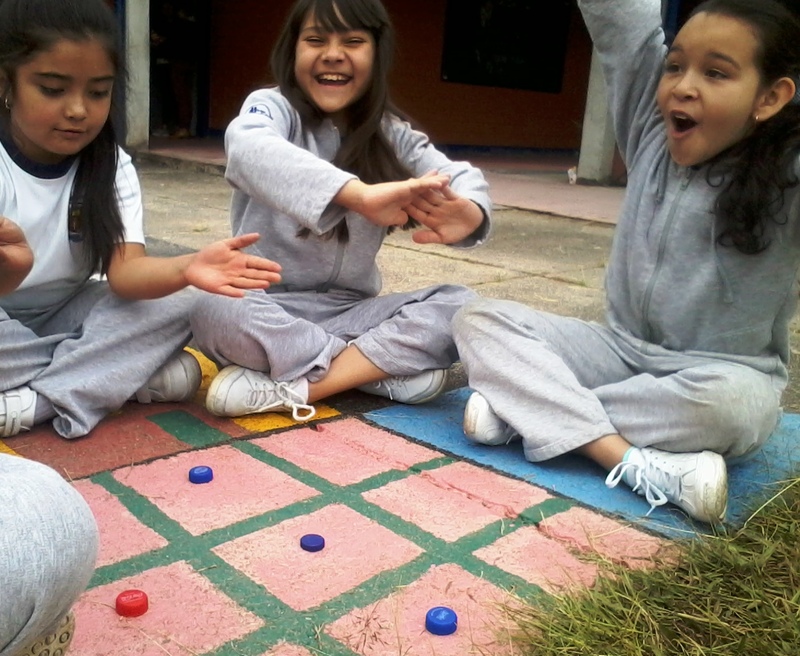 Each takes turns throwing the die, and the player with the highest roll plays first. The players to the left follow in turn going clockwise. 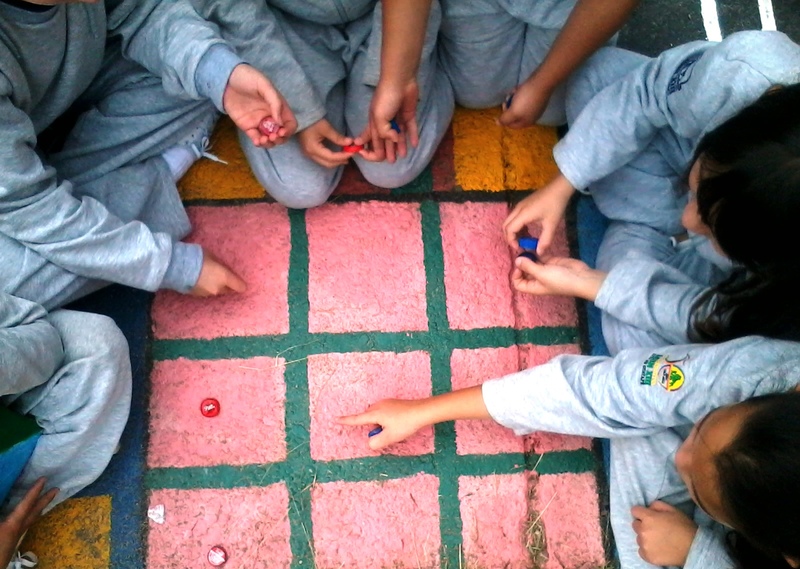 On each player’s turn, the player rolls the die to determine a move. 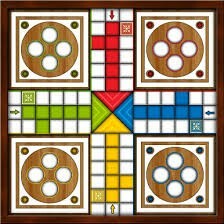 The goal of the game is to move all four of the player’s pieces clockwise once around the board, up the home column and into the home triangle. 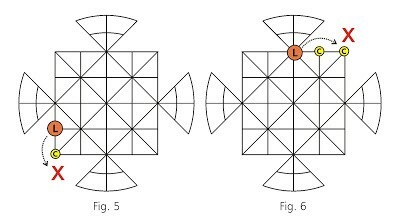 If a player has a piece or pieces in play, they can move any one of their pieces 1 to 6 squares along the path according to the number they roll .If a six is rolled, the player can choose to either move a piece out of his base or move a piece that is in play. Anytime a six is rolled, the player gets an extra roll after his move. 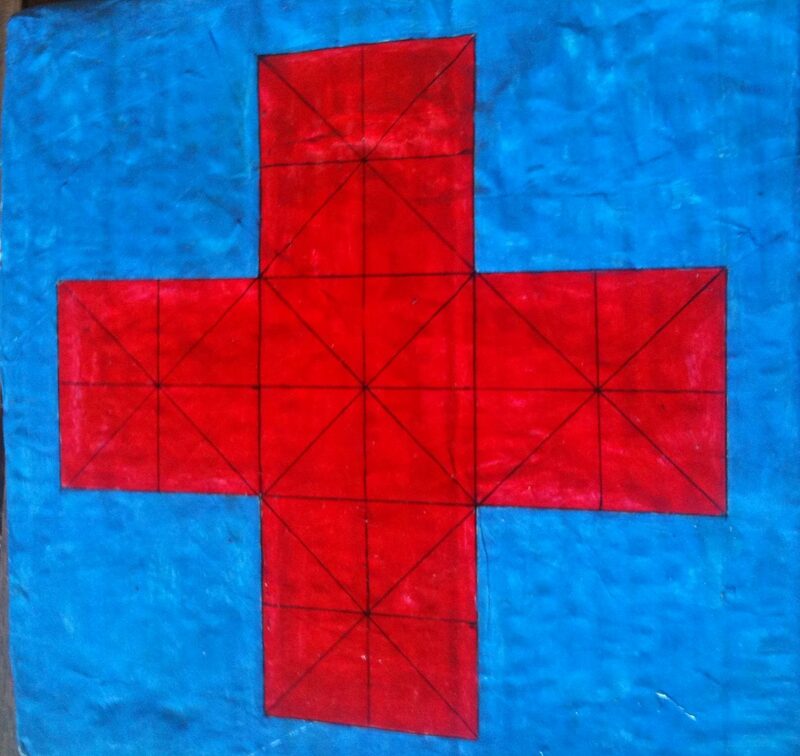 When a player’s piece has reached the home column of its own colour, the piece continues its moves toward the centre to its home triangle. When a player’s die roll lands its piece on the home base, that piece has completed its journey. A piece can only be moved on the home base with an exact roll. The first player to have all four of his pieces finish their journeys wins. 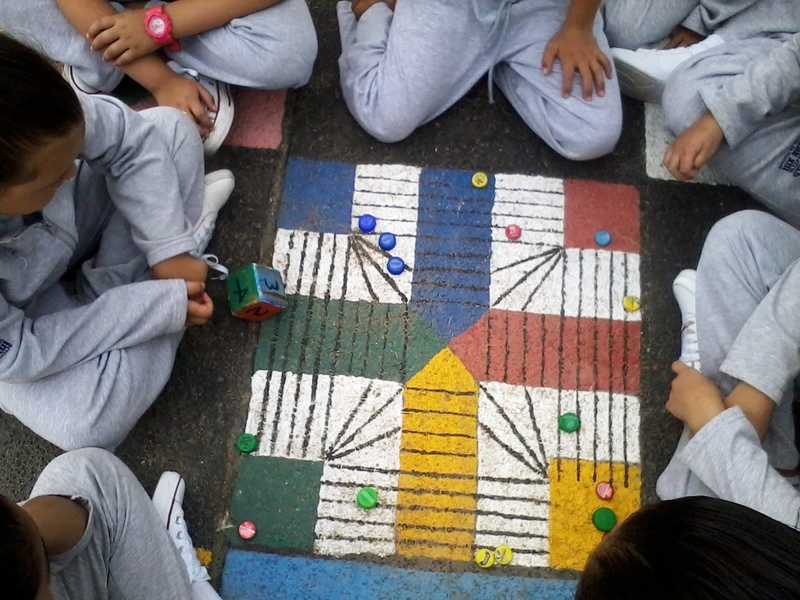 The remaining players continue the game to determine the runner up. 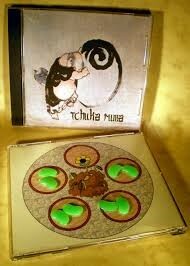 In China this game is known as Pong hau k’i and in Korea it is called Ou-moul-ko-no. A game for two players or two teams. 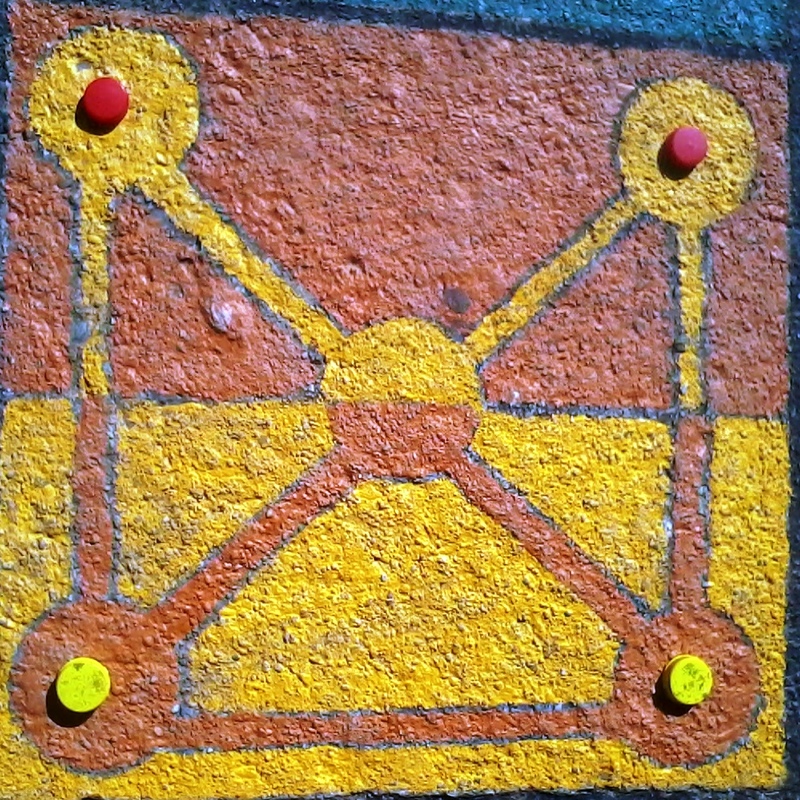 A game board like the one above. 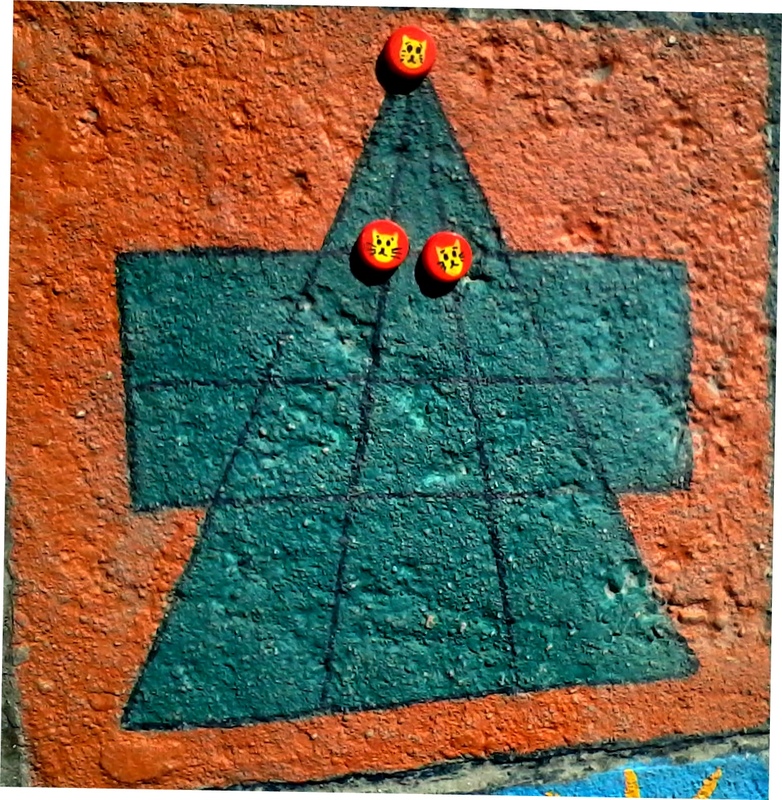 Each player needs two pieces such as two pebbles which differ in colour or size from their opponents. 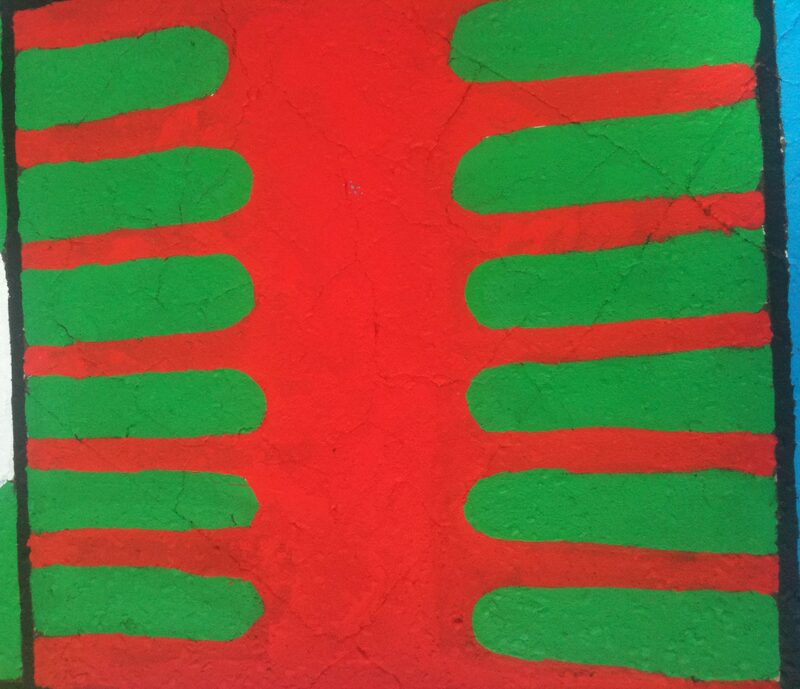 Place the two pebbles at the top and two at the bottom. Take turns to slide one pebble along a line to an empty spot. The first move will be to the middle. To win: block your opponent so that they cannot move. Next time you play swap start positions on the board with your opponent. The game consists of 5 sections. 4 smaller sections in which 2 counters are placed in each and a larger RUMA section which is the home base. 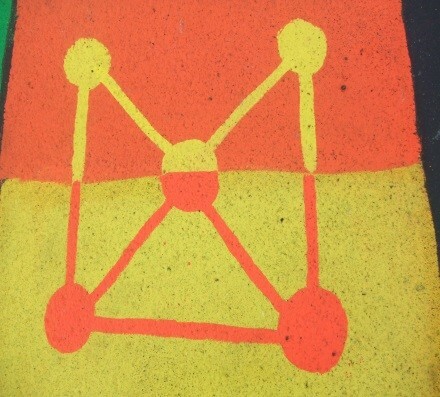 The big circle in square 35. 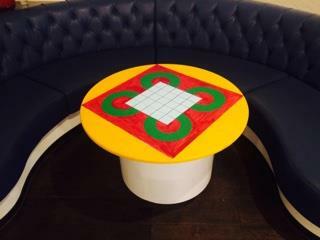 Set up: place 2 counters in each of the smaller sections. How to play: Pick up counters from any square and drop them, one by one into each section (similar to Mancala) towards the Ruma square. 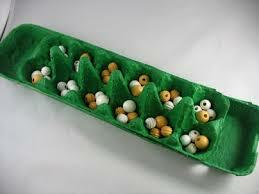 This is called “sowing the seeds”. If the last counter falls into a space already occupied by one or more counters, pick up all the counters from that square and continue sowing the seeds. 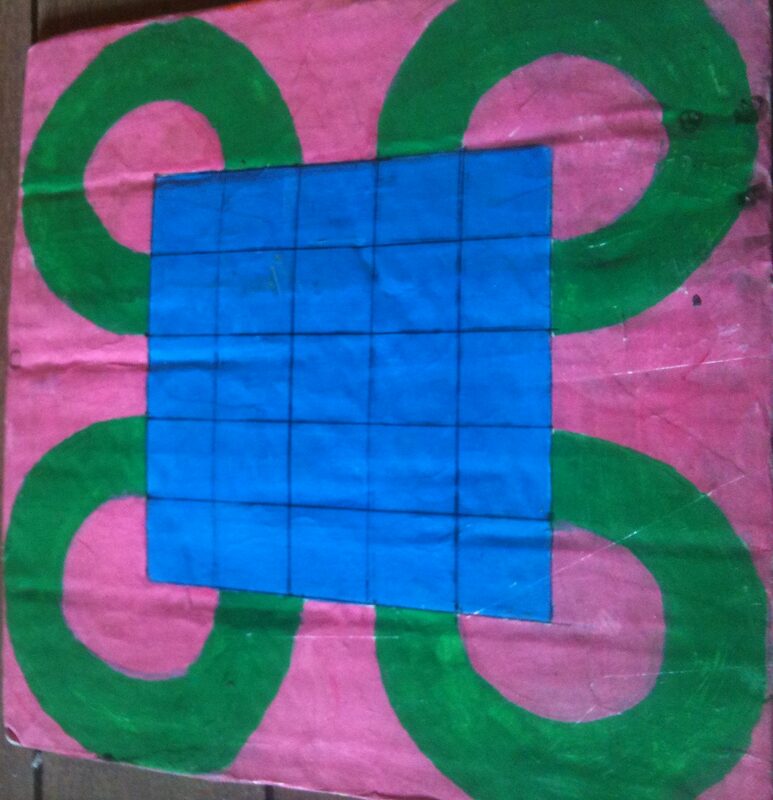 This is a traditional board game from Java, Indonesia, the name of the game comes from the city that was the more important on the island. 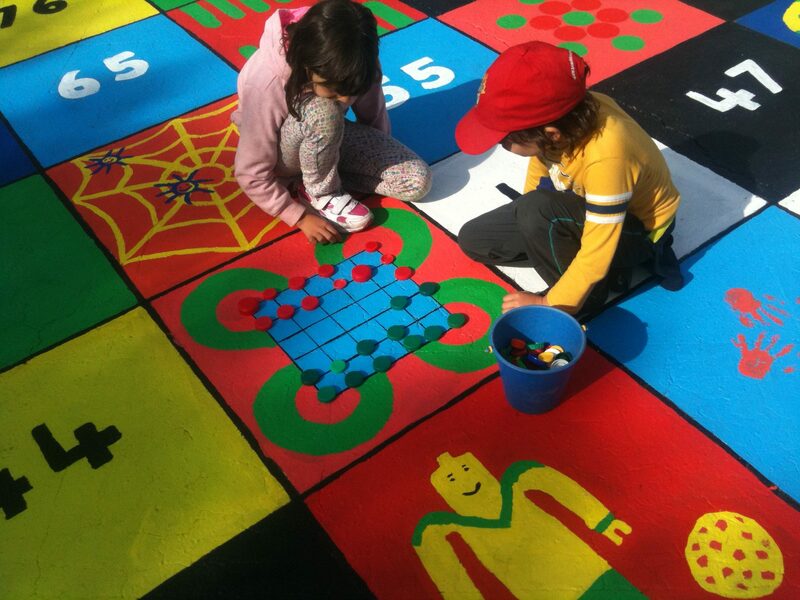 It may be helpful to call this game roundabouts for younger children. 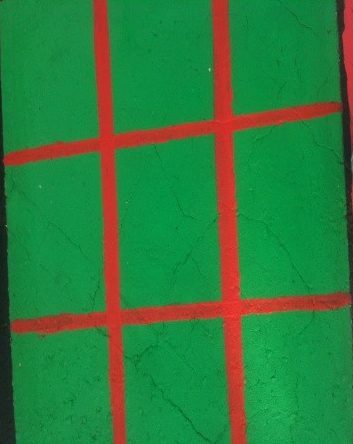 The board has six horizontal and six vertical lines. 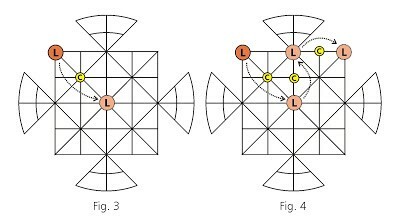 The intersections of the four external bars are linked by circular lines as shown in the images below. The two opponents that take part in the game sit opposite each other. 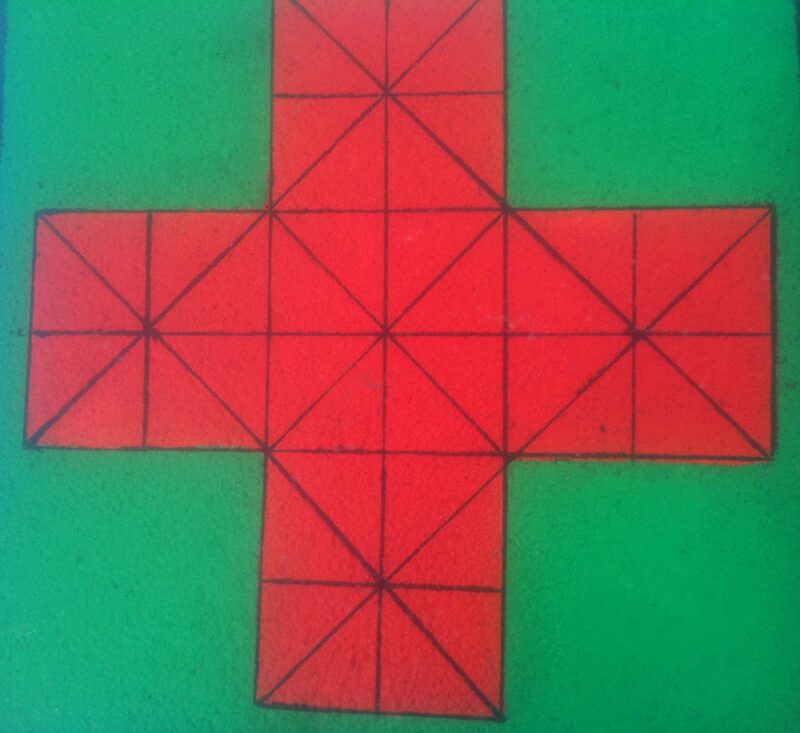 Each of them has 12 pieces placed on the intersections of the two nearest horizontal lines. 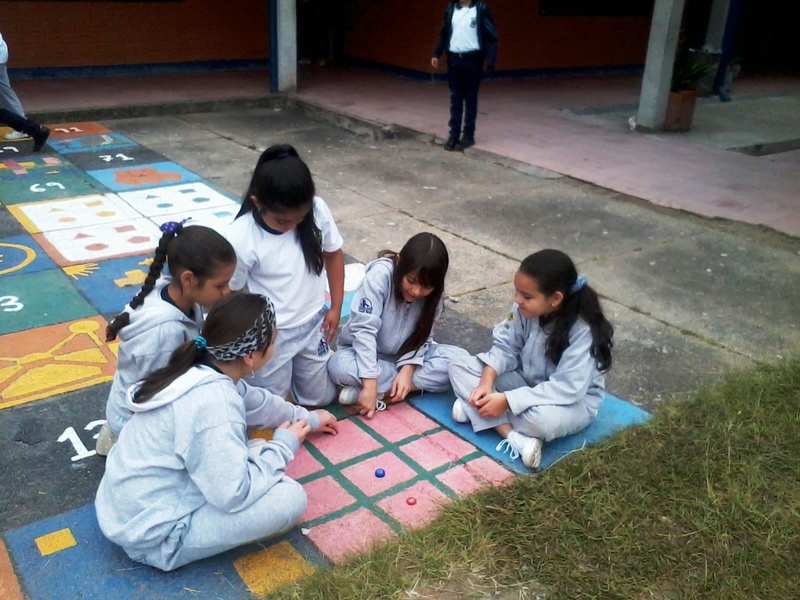 The purpose of the game is to capture all the opponent´s pieces. 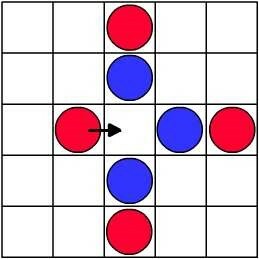 Each player makes one move by turn. The pieces have to be moved in any direction (vertically, horizontally or diagonally) between two adjacent intersections; the destination intersection must be empty. 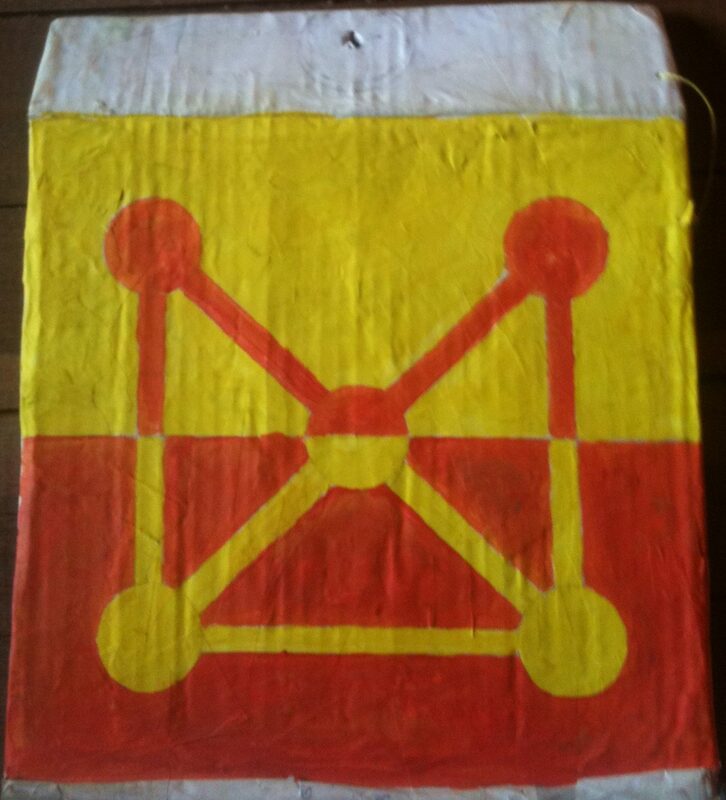 So, pieces are moved like kings in chess. 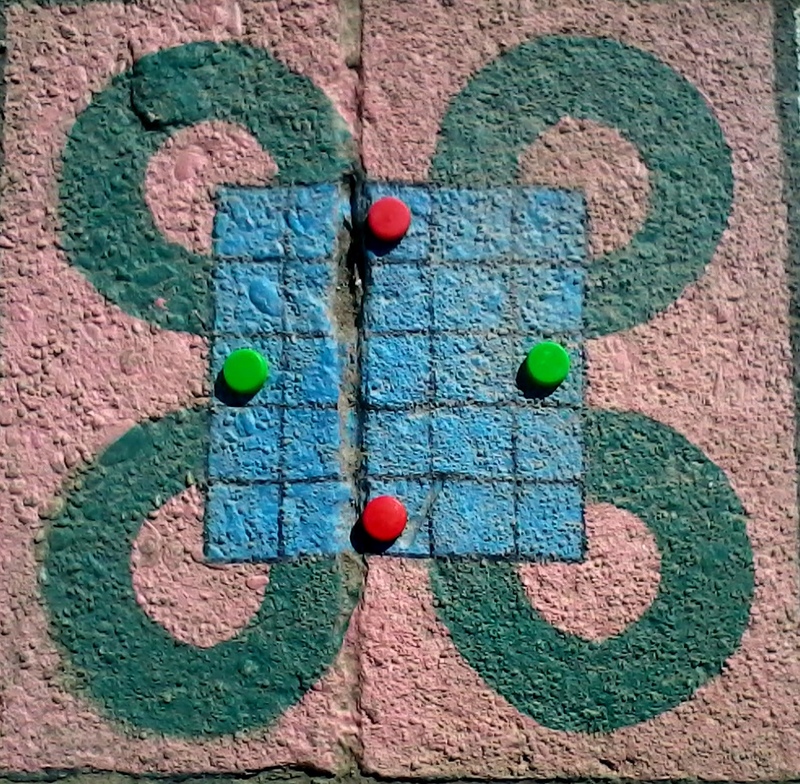 Captures are made by moving a piece along one of the lines and landing on the intersection occupied by the opponent’s piece. During the trip the capturing piece must go round at least one and up to four of the eight curves of the board. 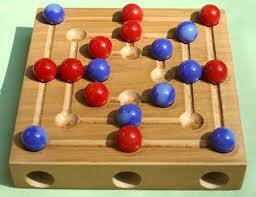 The route must be free: the capturing piece cannot jump over any of the pieces placed on the board. 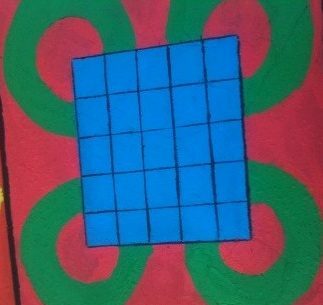 Pieces can only travel along one of the curves. It is important players realise the difference between the inner and outer circles. 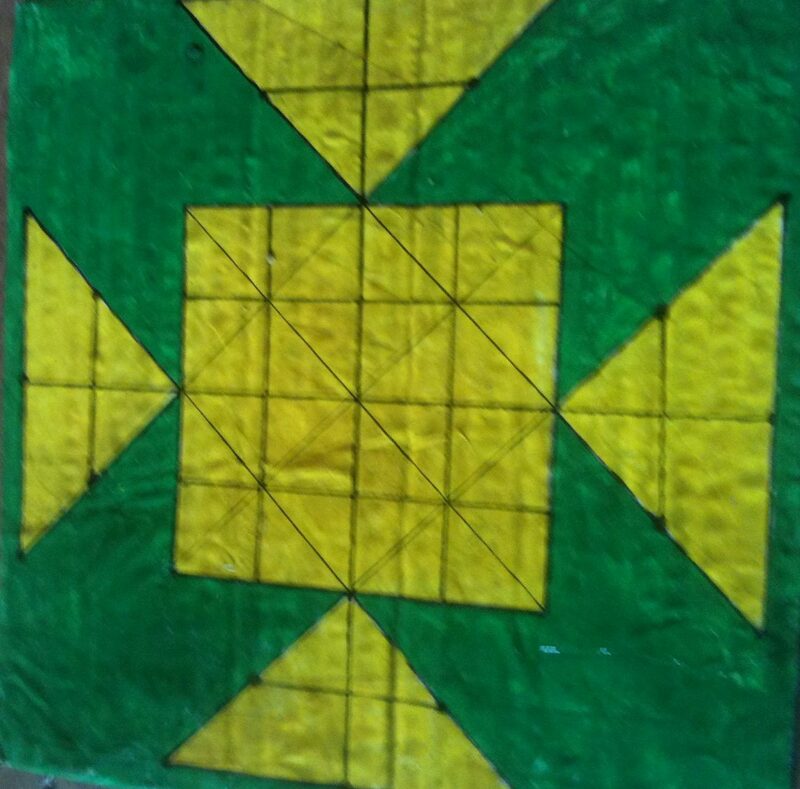 Seega is a game which originated in ancient Egypt and is still played today in Somalia, Sudan and Egypt. 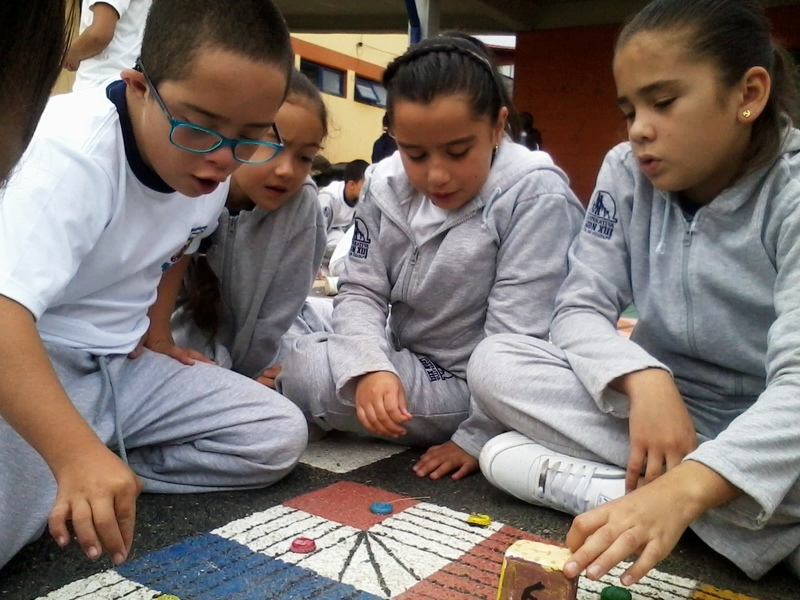 With younger children presenting the game as being called sandwich may aid understanding. 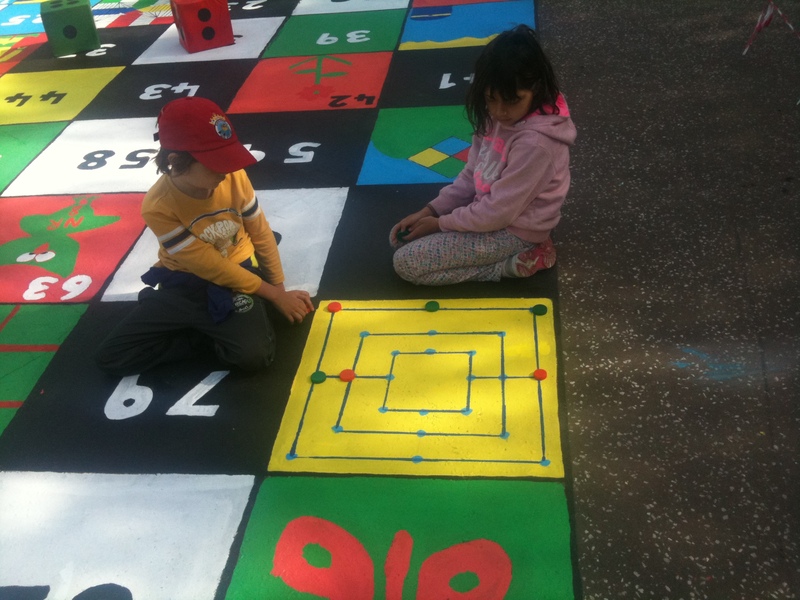 Next, the players take turns, laying down two pieces at a time in any square but the centre square. These turns are taken until all the pieces are laid down. 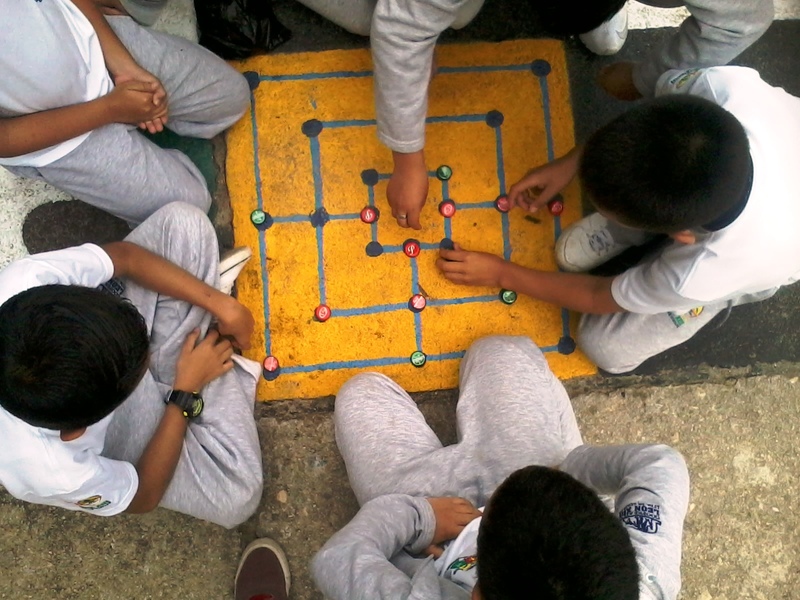 Similar to checkers, you are trying to capture your opponent’s pieces. 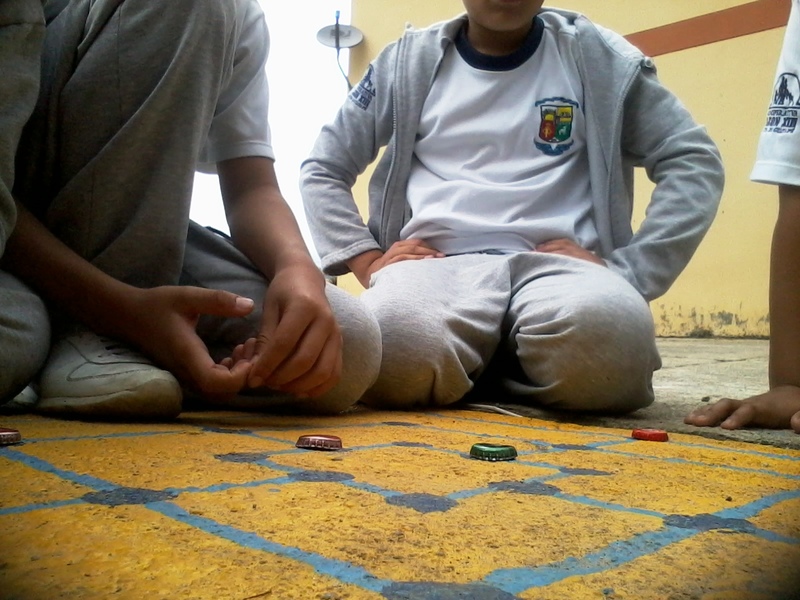 The game ends when a player (the loser) has only one piece left. 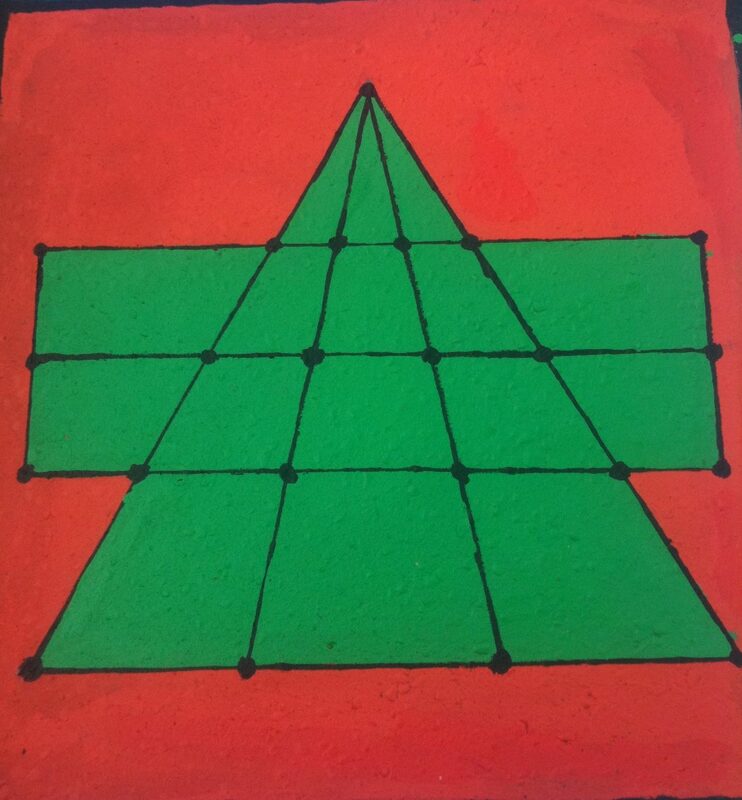 Pieces may be moved only to adjacent open squares, but diagonal moves are not allowed. A piece is taken (the filling of the sandwich is eaten / removed from the board) when it is “sandwiched” by two of the opponent’s pieces. Sandwiching diagonally does not count. Pieces are only taken when the opponent makes a move that sandwiches the piece. 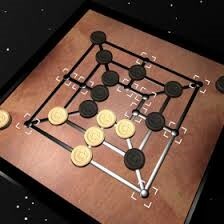 For example, if you move your piece in between two of your opponent’s pieces your piece is safe. If in the original layout of the board, one of your pieces is between two of your opponent’s pieces, your piece is safe. 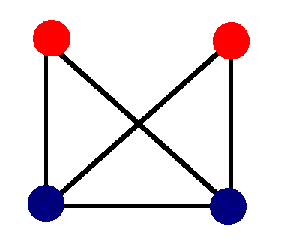 Above in Fig 2 when the red stone is moved as shown, it forms a triple sandwich capturing all three blue stones simultaneously. If a player is completely blocked in so that he or she cannot make any moves, then the blocked-in player is allowed to remove any one of the opponent’s pieces to clear a path. This situation usually arises only within the first few moves of the game. This is an assault in the classic medieval sense. A Well-fortified, heavily armed, badly outnumbered city folk (The Volga Bulgars) attempting to hold off the invading swarm of bloodthirsty but exposed raiders (the Dalmatian Pirates). To Start – 2 Players decide which side they start as; the Pirates in Black or the Volga Bulgars in White. The Pirates are set in their positions on the board. The Volga Bulgars have the option to place their two pieces anywhere within the fortress. The Play – Pirates make the first move. Pirate Player may move one piece along any line so long as it does not run into another piece. Pirates can only move to the fortress and not away. After entering the fortress, they may move in any direction. Pirates cannot jump. 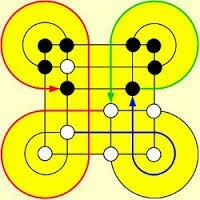 Bulgars may move in any direction at any time so long as it follows the path lines on the board. They may also capture the Pirates removing that captured piece from that board. 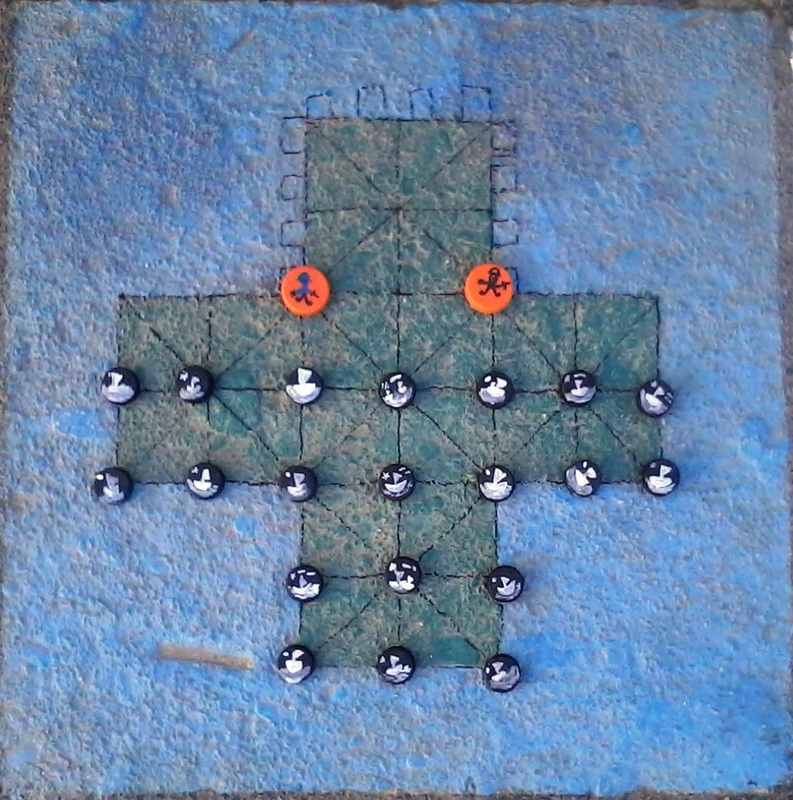 Capturing is done by the Bulgar piece jumping over the Pirate Piece and landing on an open space on the opposite side (like in checkers). If the Bulgar has the option to jump, they must make that move. If there are other available jump captures beyond the first by the same capturing piece, these are optional by the Bulgar Player. End Game – Pirates win the game under ONE of these conditions… 1.) The Pirate occupy all 9 fortress positions 2.) Pirates trap the Bulgars so they cannot move. 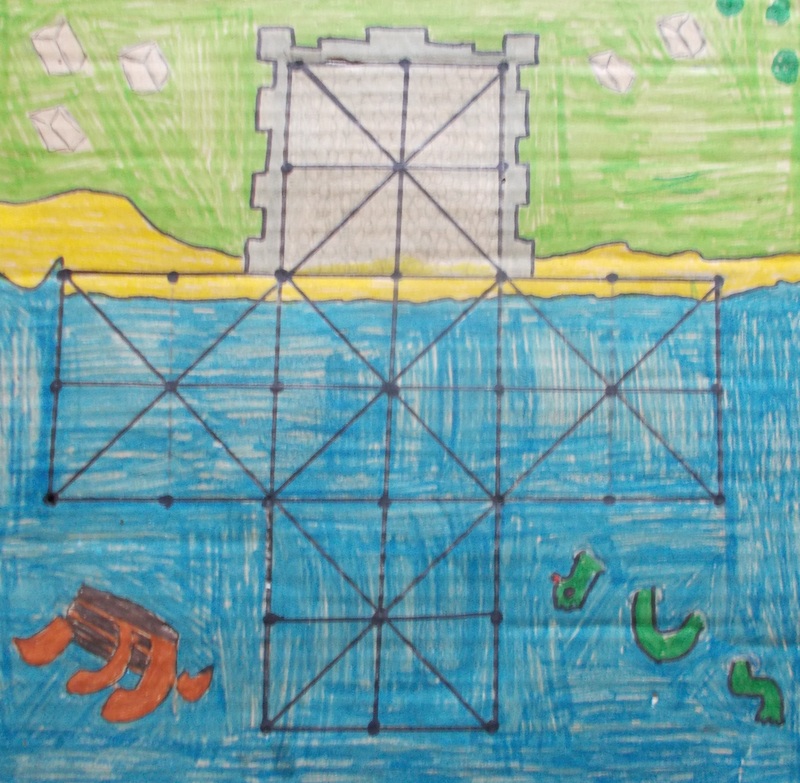 Bulgars win under this condition… 1)Capture enough Pirates to make capturing the fortress or trapping the Bulgars impossible. After the game as ended, the players switch sides/roles. Fox and Geese has a long history that dates back to the Middle Ages in Europe. 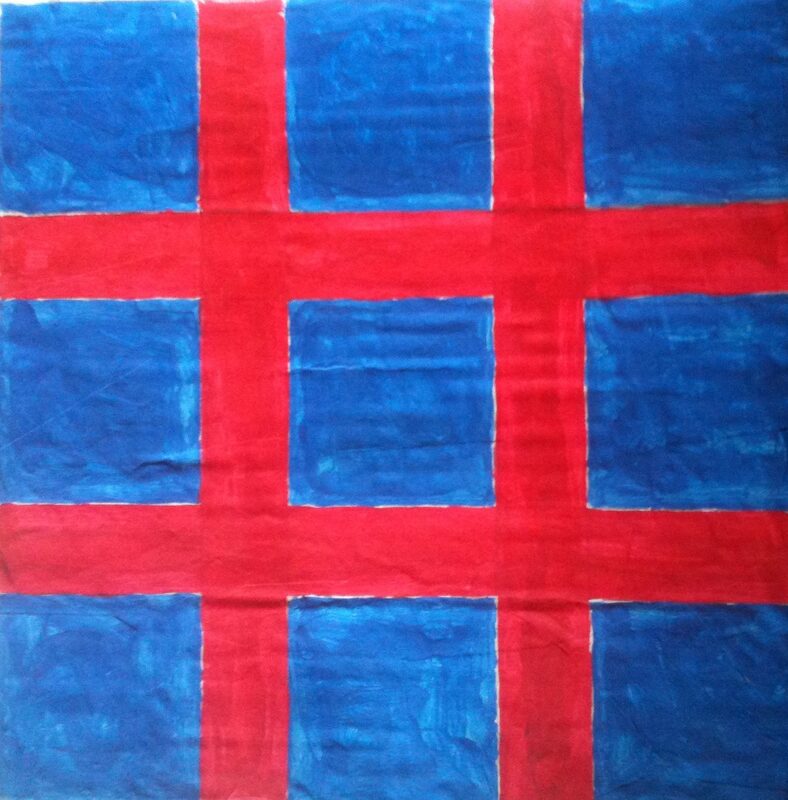 Descriptions of the game are found in Greetis Saga an Icelandic poem written in 1300 AD. The game was also found in the household accounts of Edward the IV of England, who had the game made out of silver. The game is still popular among the royal families of England. It is known to be enjoyed by Queen Victoria and Prince Albert. It was also played in 15th century Europe. Boards are etched into the Gloucester Cathedral. 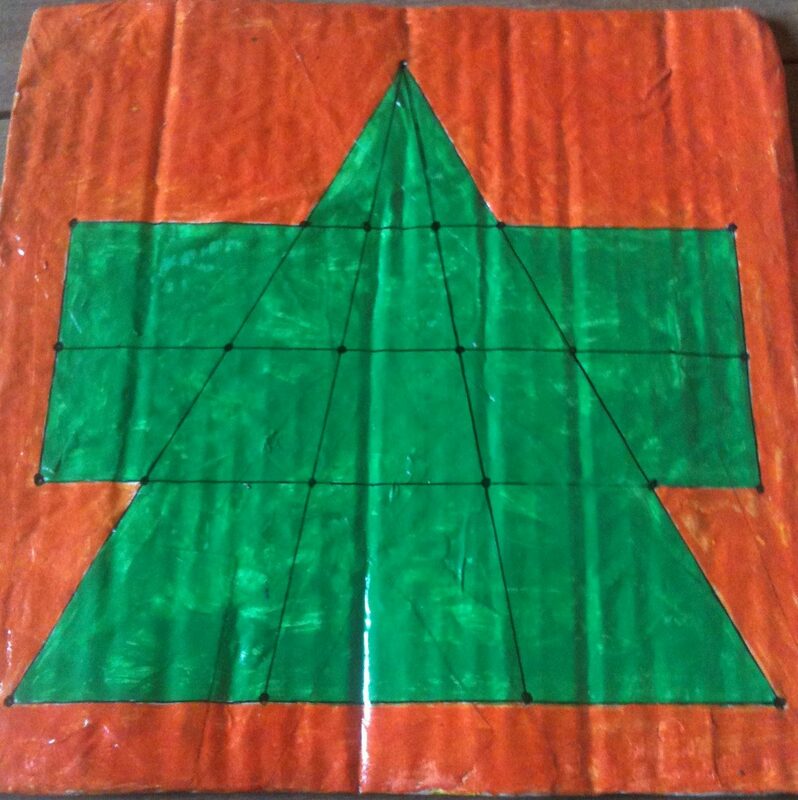 The board found here only had diagonals and 13 geese. 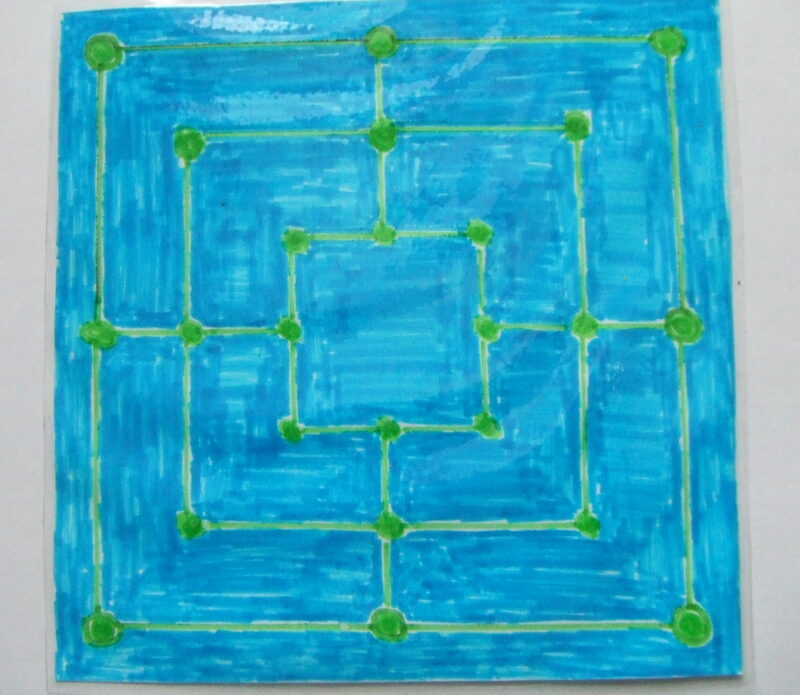 In the earliest form of the game that was played in England all pieces could move one space along the line to an unoccupied spot. 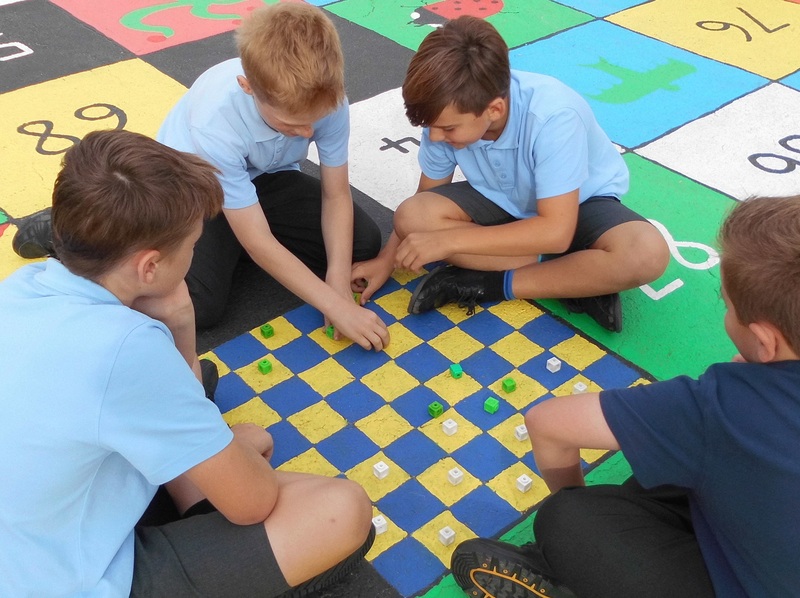 This game is still played in much of rural Britain such as in Lincolnshire and Shropshire. 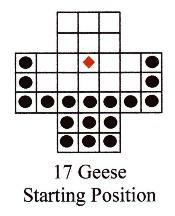 The game began to change in the 16th Century as seen by the rules limiting the geese’s movement. To compensate for their lack of movement, two geese were added to the game, making the total number of geese on the board 15. Later 2 more geese were added. The Pieces: 13,15 or 17 pieces of one colour for the geese and a piece of another colour for the fox. To move: The geese may either move left, right or down, while the fox can move left, right, up or down. The fox captures by jumping over a goose into the vacant spot next to it. To win: For the geese, the object is to surround the fox so that he is unable to move. For the fox to win, he must either capture all the geese or advance to the bottom of the board. 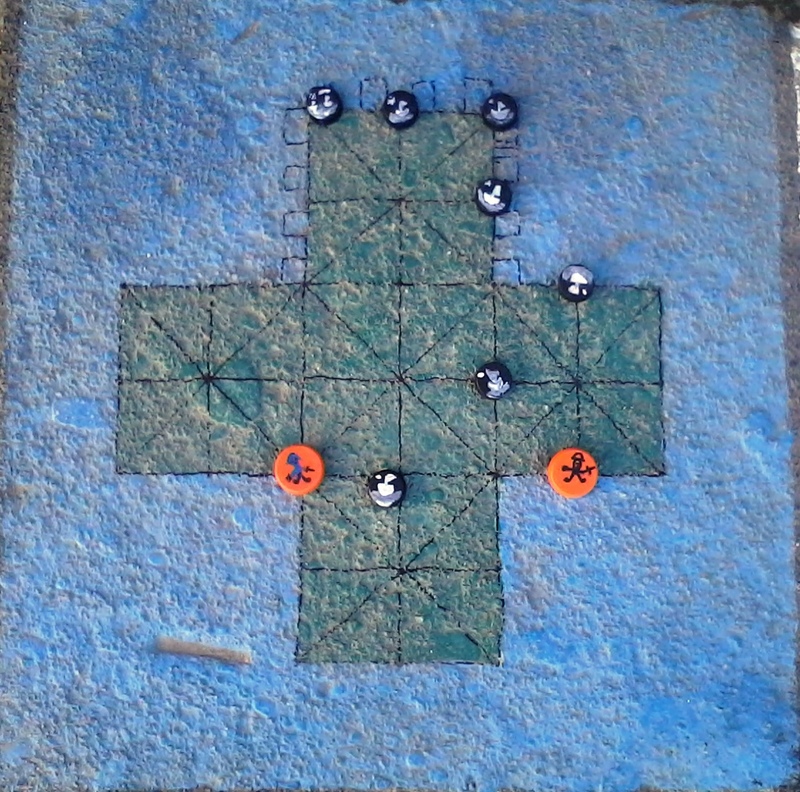 The game is initially set up with seventeen geese counters placed on the squares at the bottom of the board and one fox counter placed 3 spot down in the middle (see photos). The first player is the geese and the second player is the fox. Players take turns moving a goose or fox to an adjacent spot. The fox may capture a goose by jumping over the goose that is in his immediate path and can capture more than 1 if they have a vacant space behind. 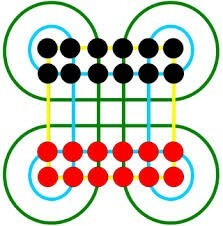 Players take it in turns to place a X or a 0 inside one of the squares the first player to make a line of 3 in a row wins . Take turns to go first. 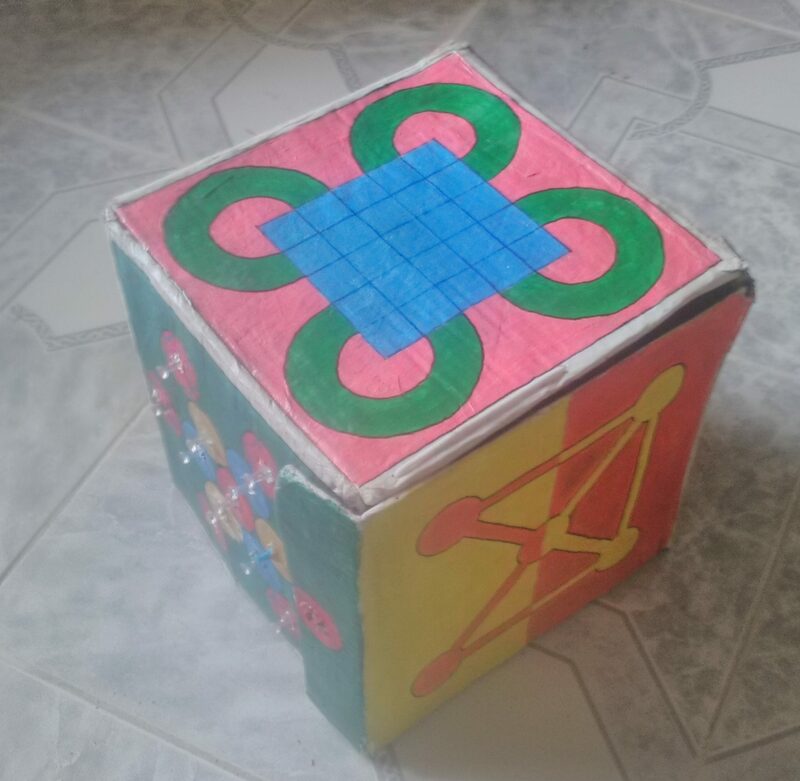 With smaller children they can be the pieces try and form 3 girls/boys or 3 friends in a row Pieces of cardboard with X and 0 can be made also, number and math symbols can be made to fit into the squares to teach basic math skills. 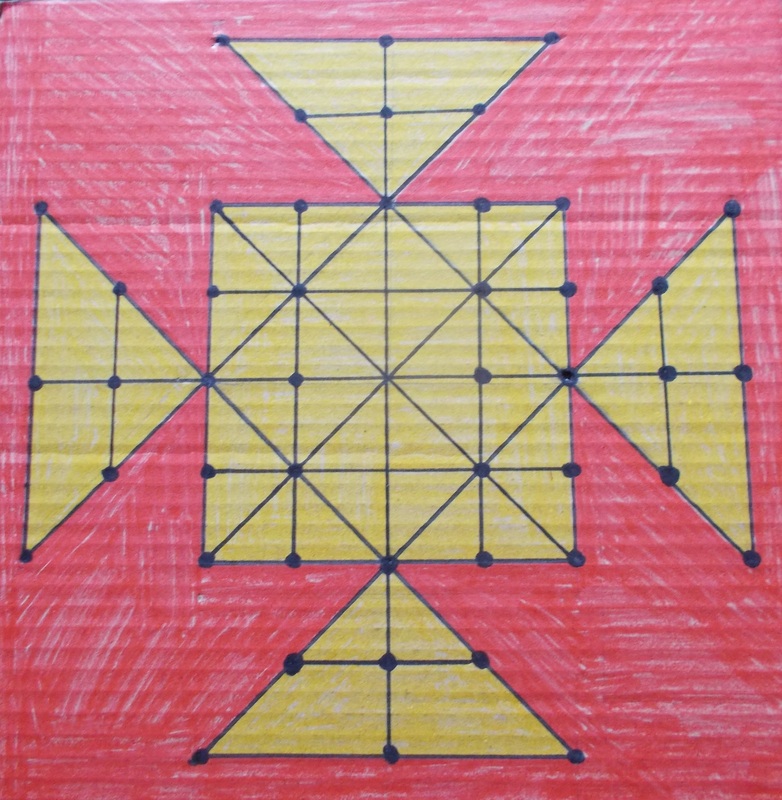 Each turn a player moves 1 piece 1 or 2 spaces in a straight line as long as the spaces are empty. 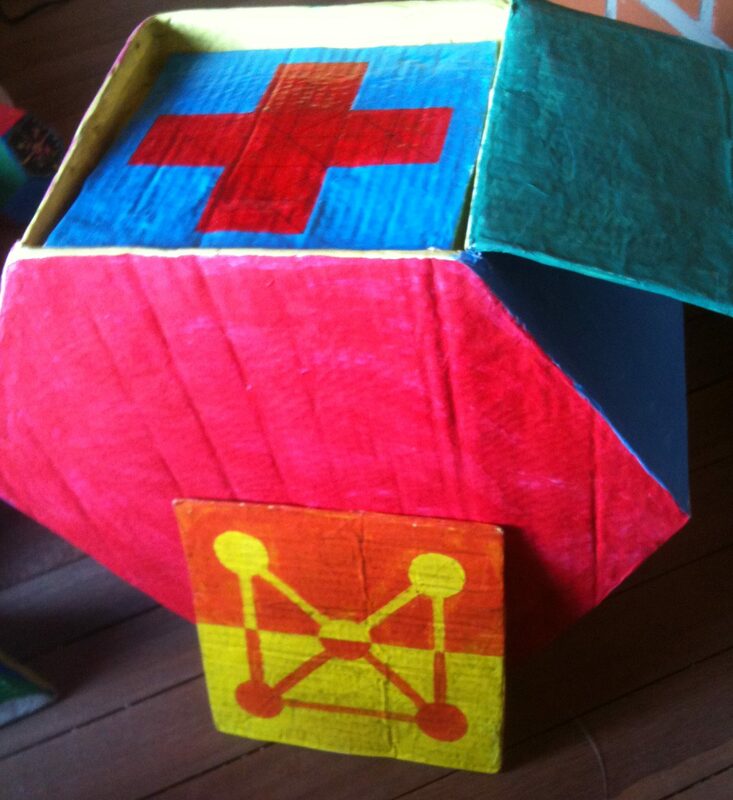 Pieces cannot be moved diagonally or over other pieces. 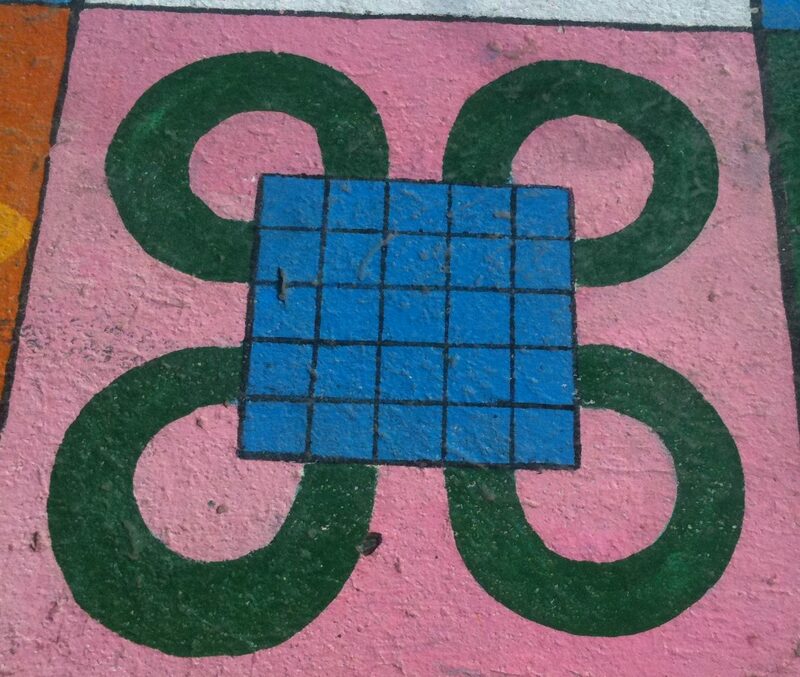 Only 1 piece is allowed per square. 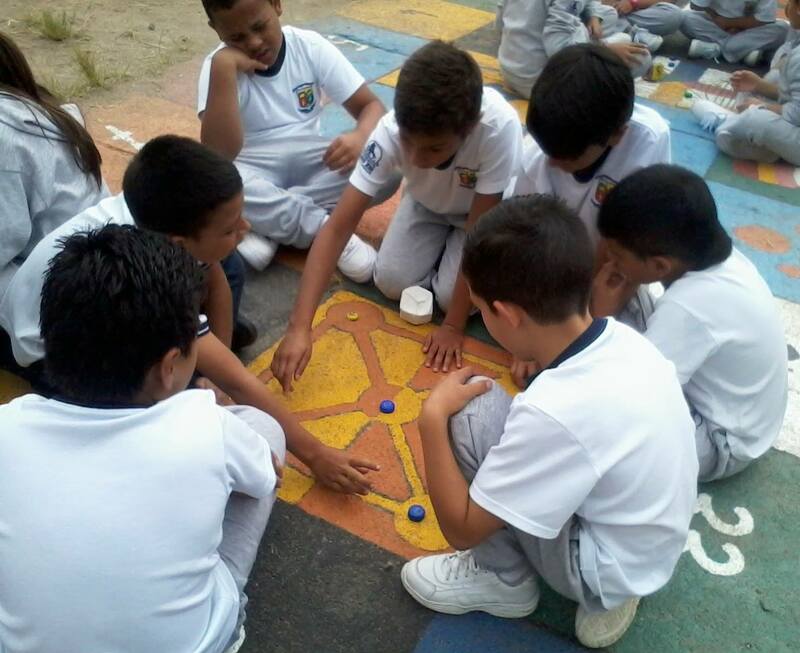 The object of the game is to form another line of 3 with your pieces different to the initial position, horizontally, vertically or diagonally. 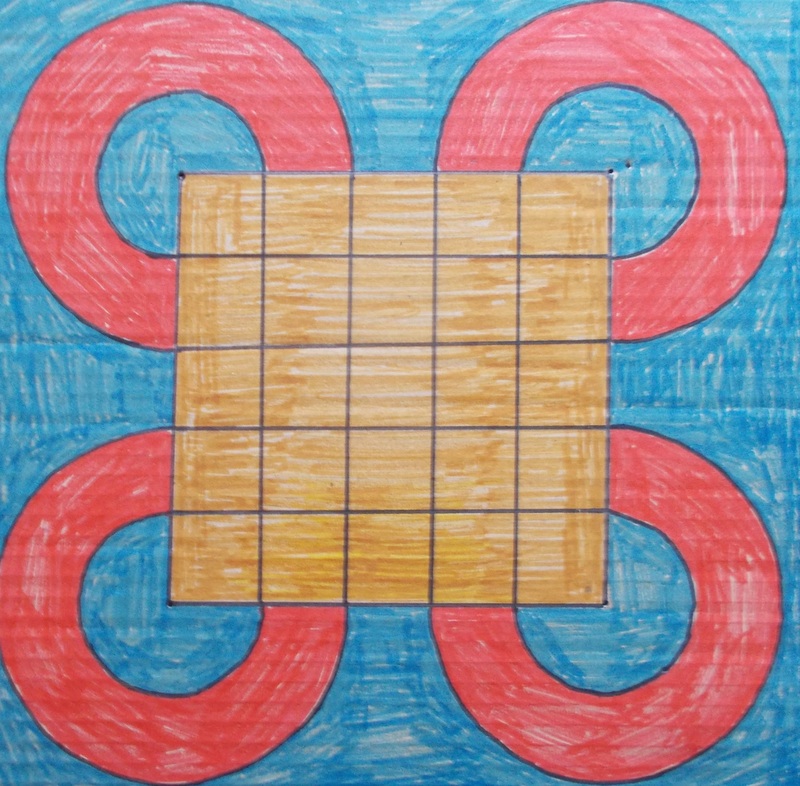 Nine Men’s Morris is a two-player strategy board game. Placing the pieces: Players take turns placing their pieces on empty spots. If a player is able to form a vertical or horizontal straight row of three pieces along one of the board’s lines (mill) he may remove one of his opponent’s pieces from the board. 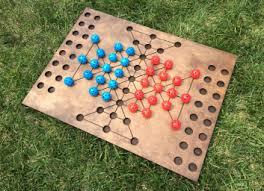 Moving the pieces: After players place their 9 pieces, move the pieces along a board line to an empty adjacent spot. 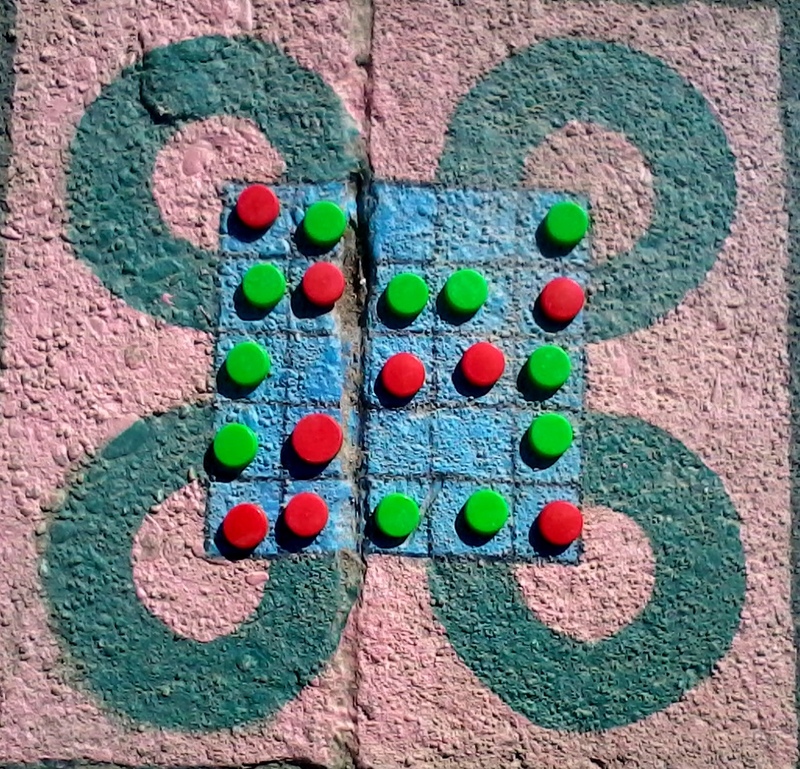 A player with only three pieces left on the board can “fly”, being able to move his piece to any empty spot. Removing opponent pieces: A player who aligns three of his pieces on a vertical or horizontal board line has a “mill” and may remove one of his opponent’s pieces, avoiding the removal of pieces in mills if at all possible. At the beginning of the game, it’s very important to place pieces in versatile locations rather than to try to form mills immediately and make the mistake of concentrating one’s pieces in one area of the board. An ideal position, which typically results in a win, is to be able to shuttle one piece back and forth between two mills. If a player blocks his opponent from making any legal moves. 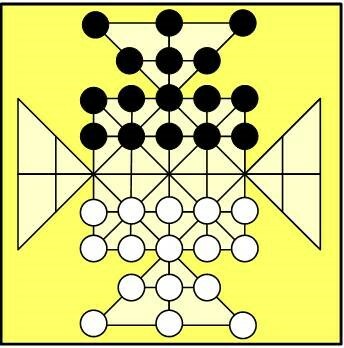 If both players end with 3 pieces, from that moment, if in 10 plays there is no winner, the game is a draw. 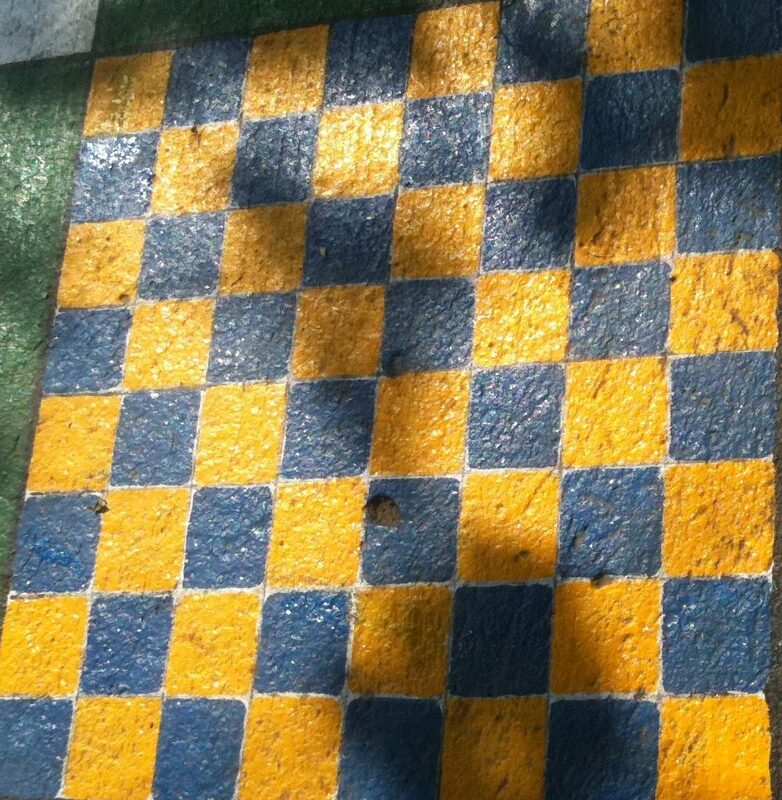 The game is played on a 64 square checkerboard with eight rows of alternating dark and light colored squares. 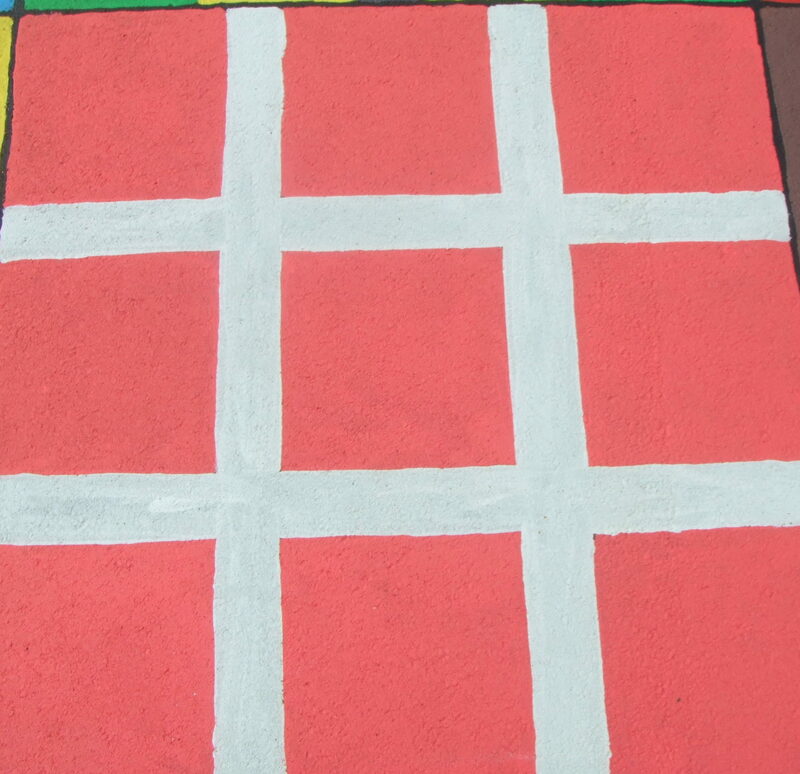 There are two players and each player will begin the game with 12 draughts, each player having their own colour. 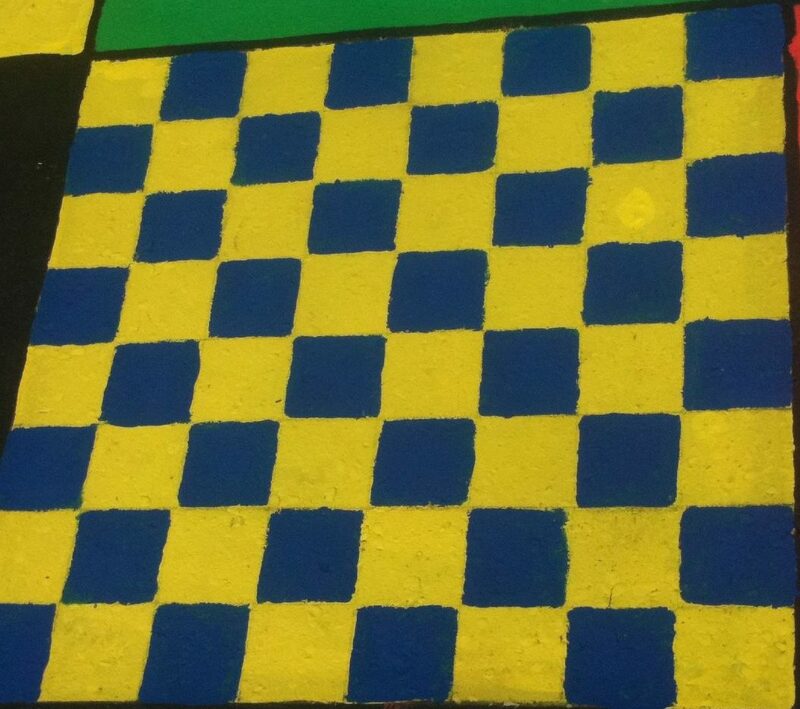 The players will place their draughts on the three rows of dark squares which are closest to them. 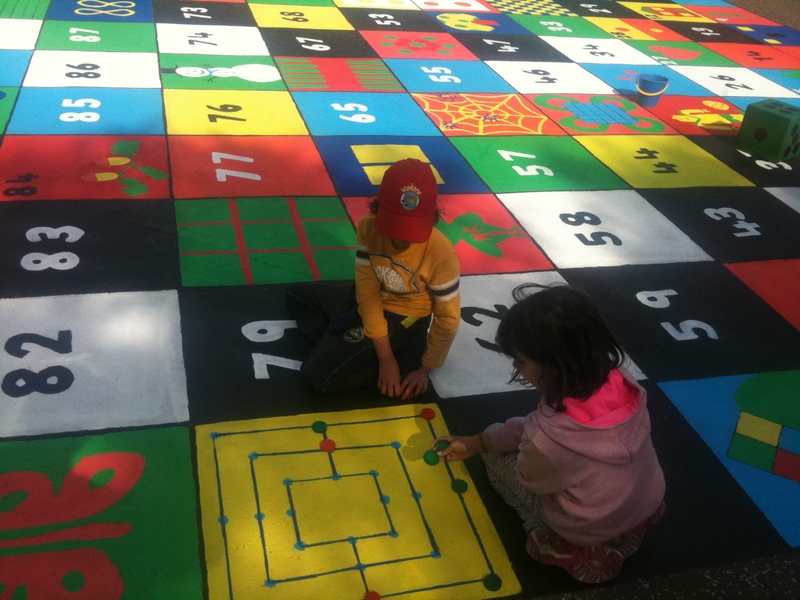 The players will then begin playing, making one move at a time. 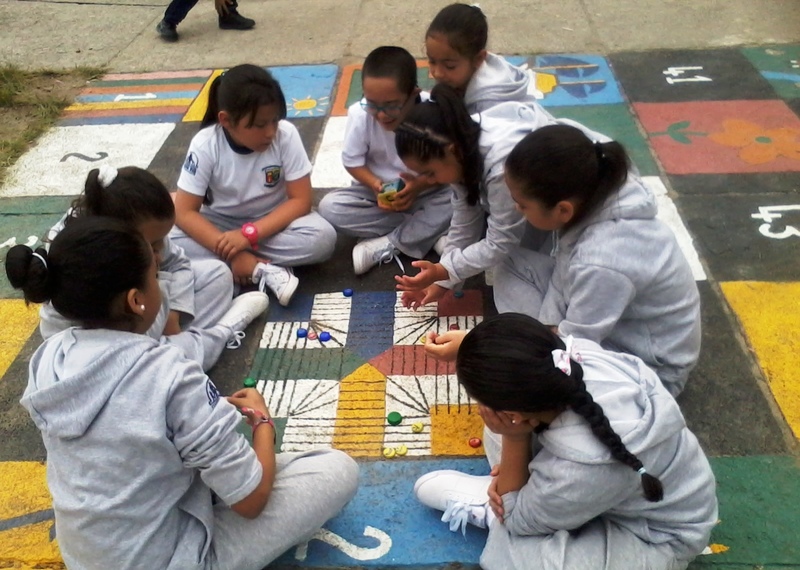 The object of the game is take all of the opponent’s pieces. 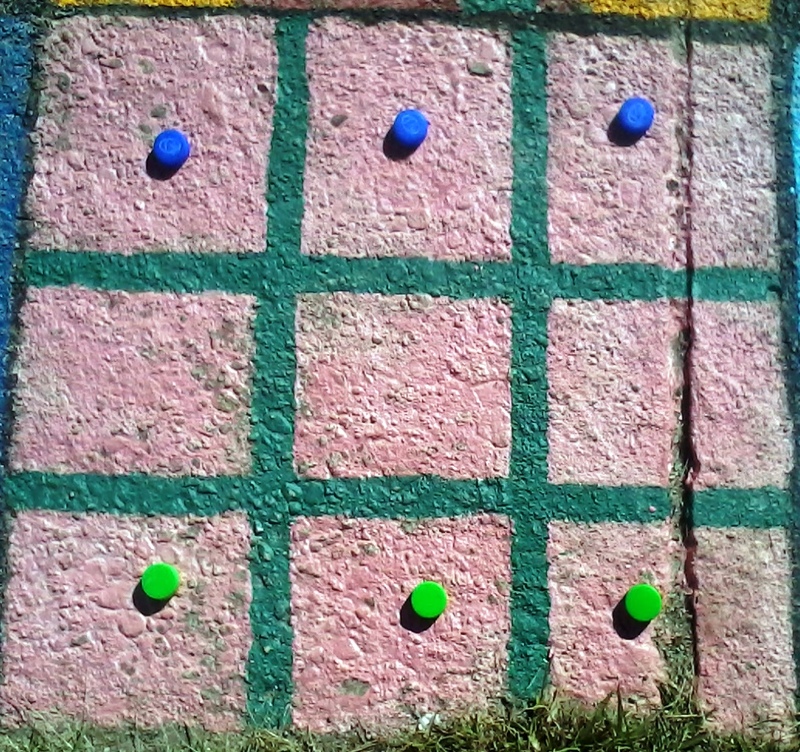 If an opponent’s piece is in the next square, the player can jump it and capture it, removing the piece from the board. 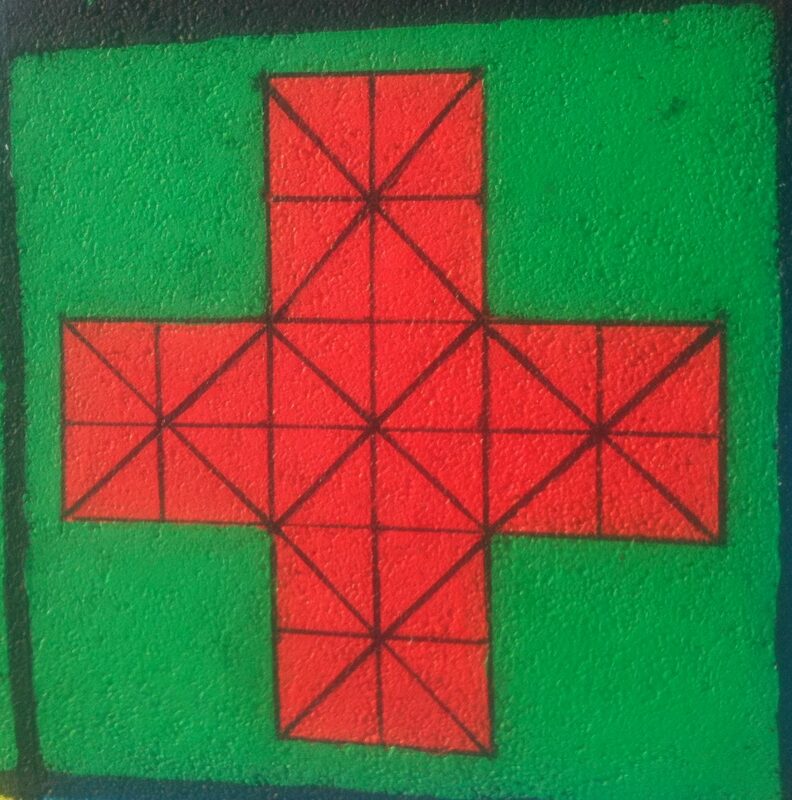 They can only do this if the next square is empty. Players can never jump over their own piece. 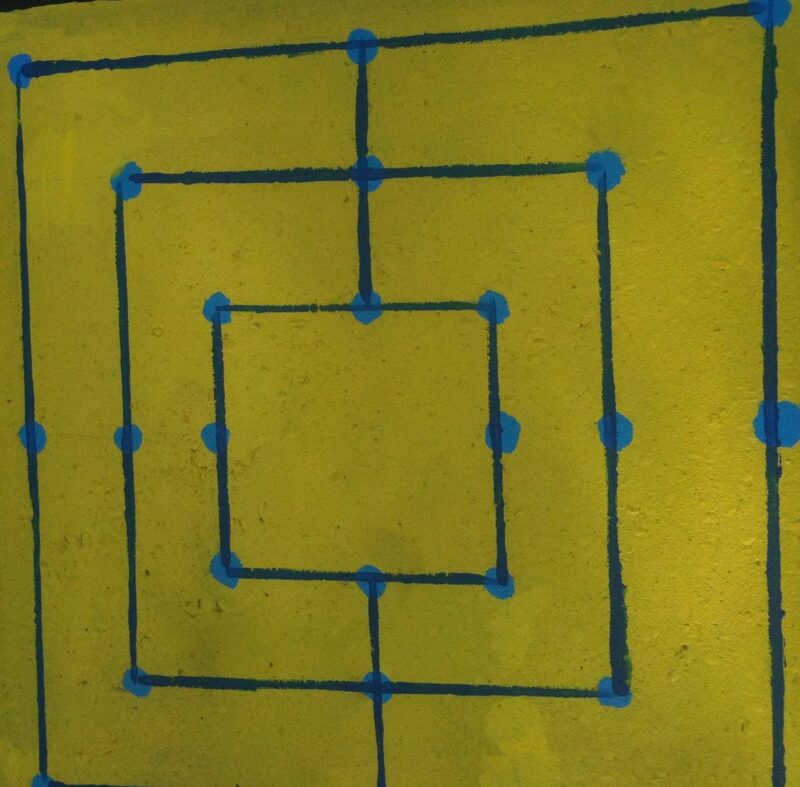 When a player makes their way all the way across the board to the other player’s side, their piece will be turned into a “King.” When this happens, one of their previously taken pieces will be put on top of the piece which made it to that side. 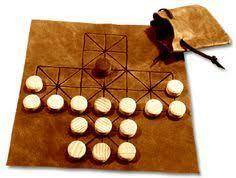 Turkish draughts is a possible alternative where pieces move up and down the board instead of diagonally. 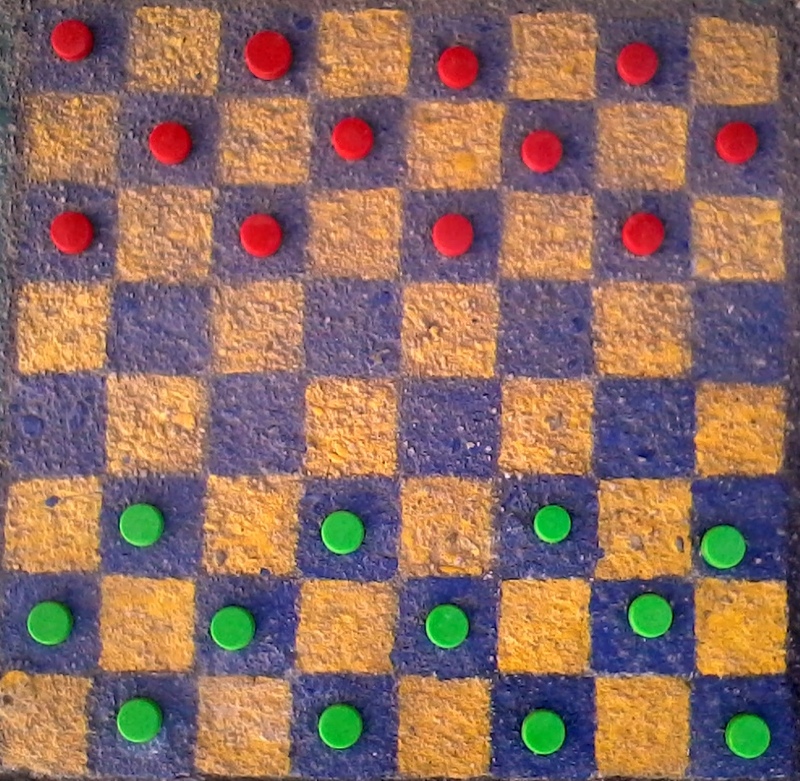 Chess can also be played on square 88. 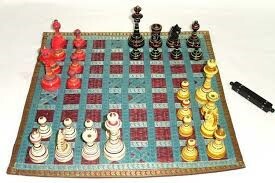 It may be interesting to look at some variations of chess such as the original Indian version called “chaturanga”. 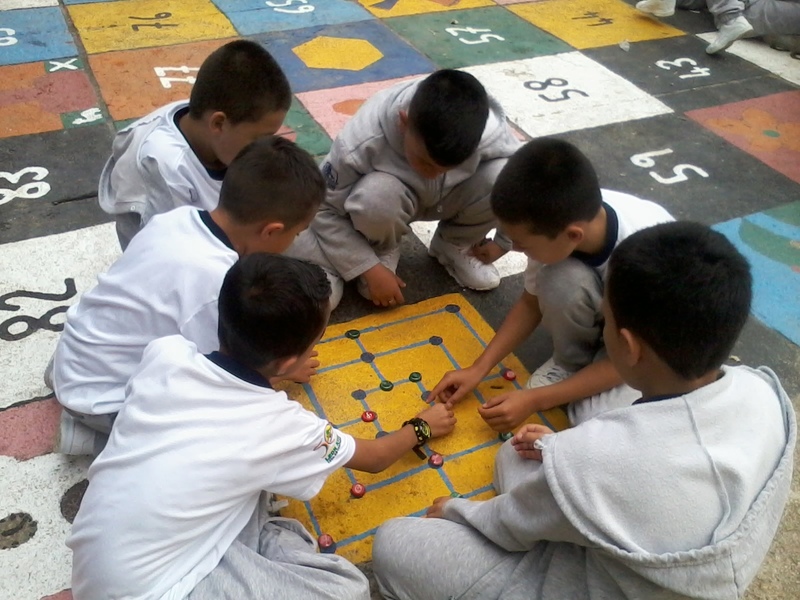 Game such as “pawns “and “dice chess” can also be played. 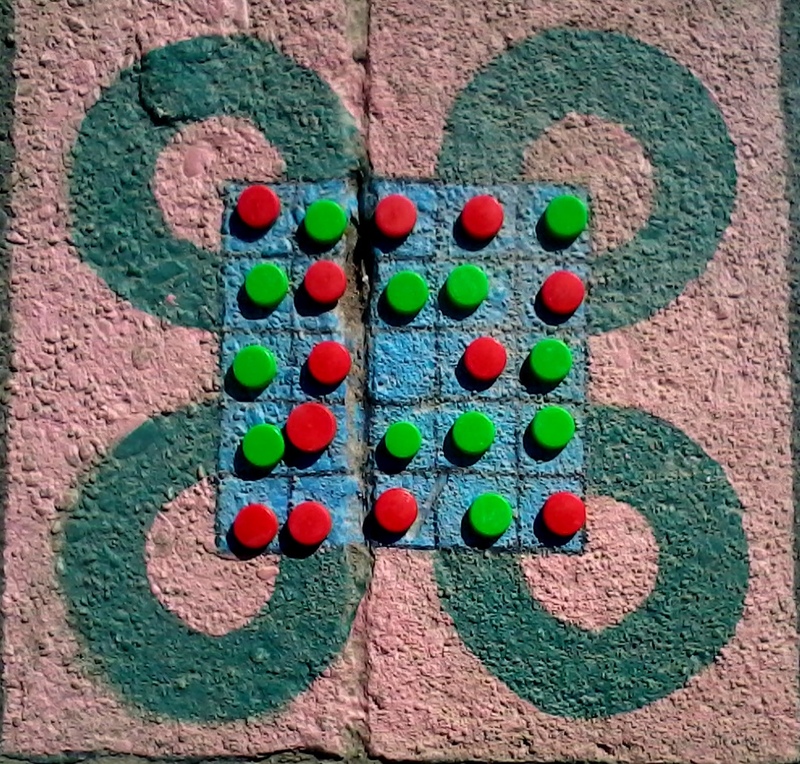 Various puzzles are also possible on this square such as the “8 Queen puzzle”. Variants. 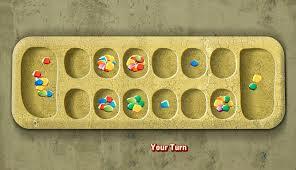 This is a version of the basic game, known as two-rank Mancala and also known as Kalah. 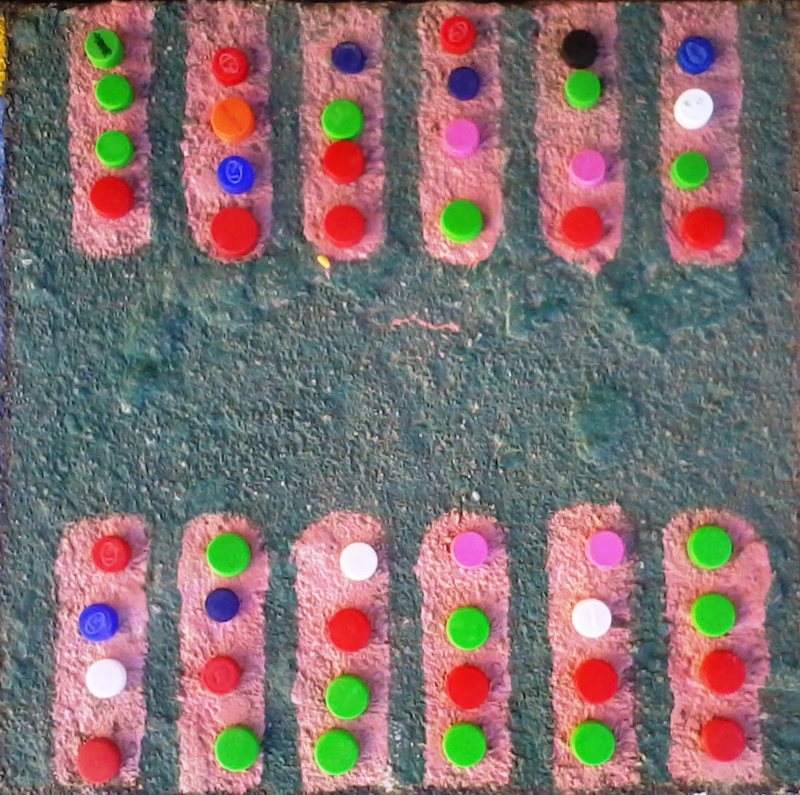 Four pieces — marbles or stones — are placed in each of the 12 holes. 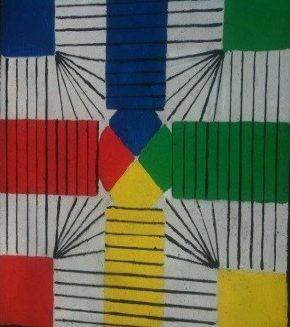 The colour of the pieces is irrelevant. If you run into your own store, deposit one piece in it. Skip your opponent’s store. The player who still has pieces on his side of the board when the game ends captures all of those pieces.